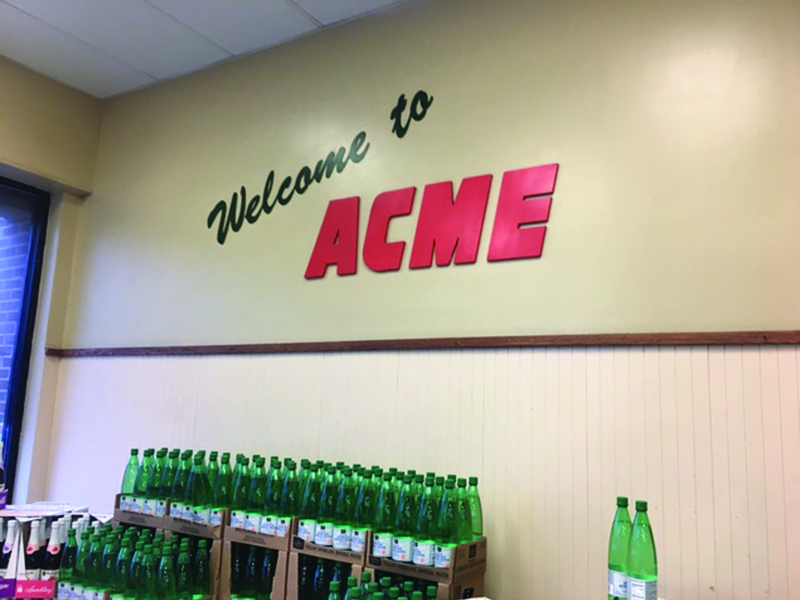 another exciting year of Acme Style! 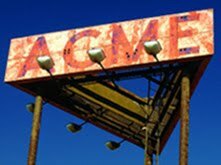 Sorry to say, there won't be any additional posts for the remainder of the year. 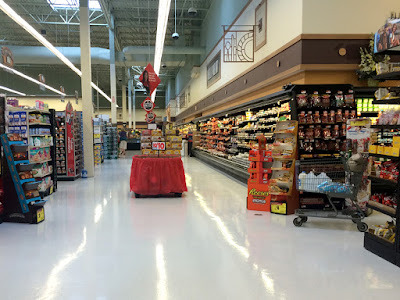 The demands of work, as clients panic and want all projects done and billed by the 31st... and with the holidays thrown in... have left me zero time to work on the blog. 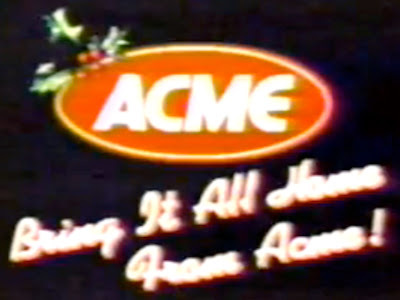 I'll be cranking out the posts once again in January and have tons of pictures waiting to go up. 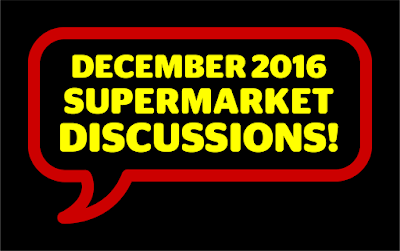 I'll announce a date of when posting will resume in the January discussions post. 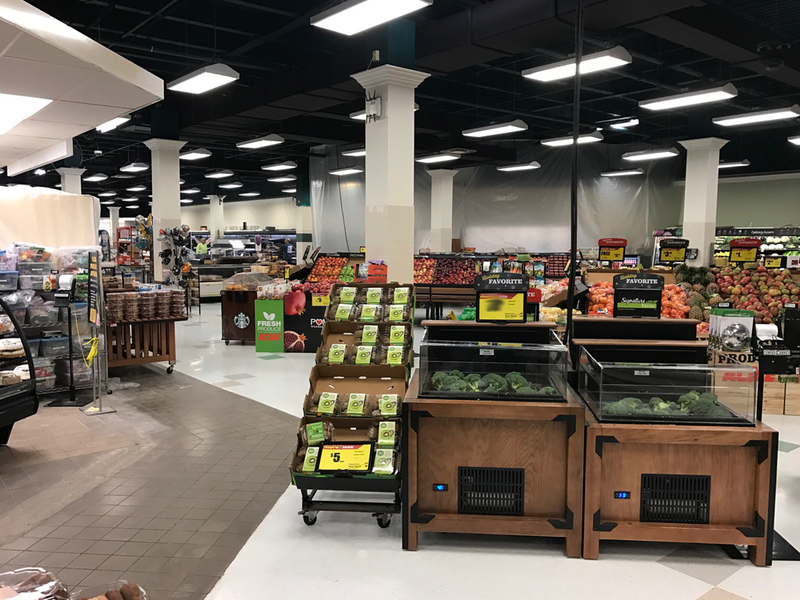 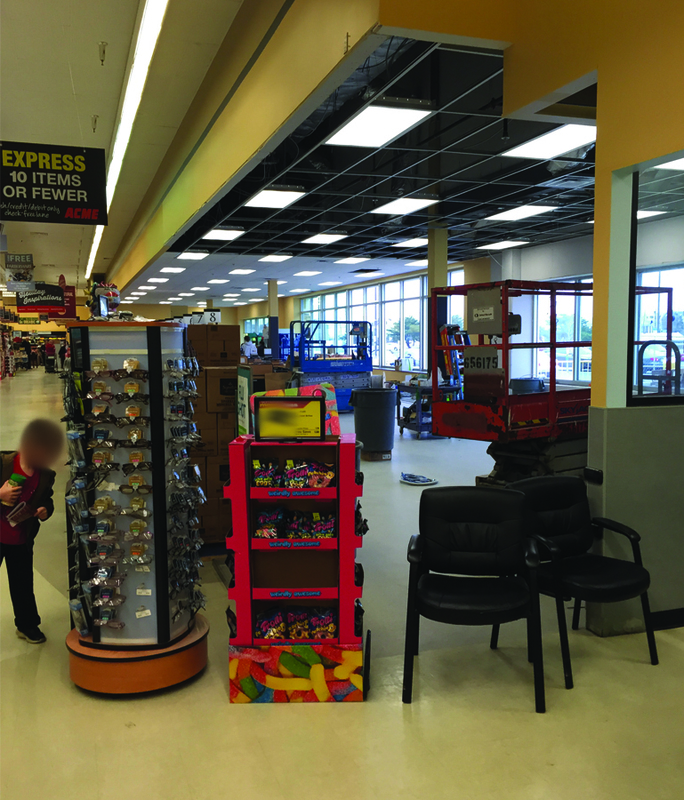 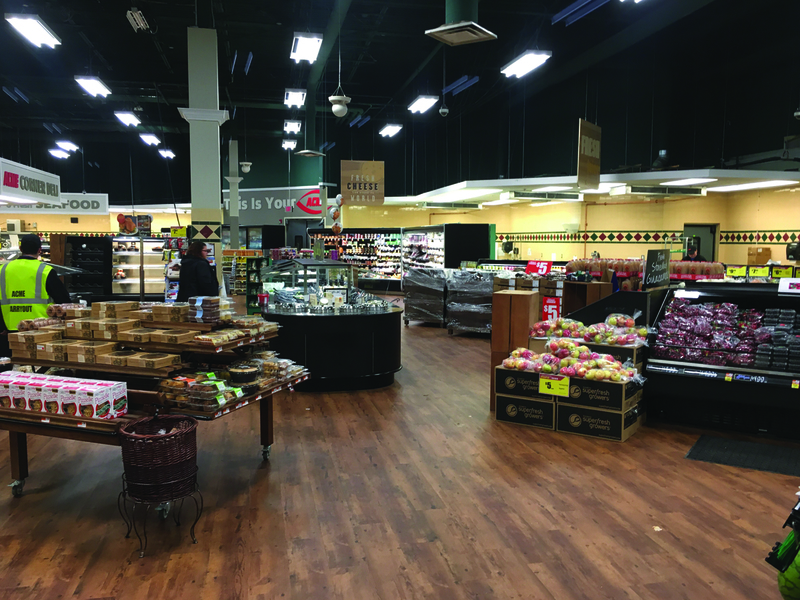 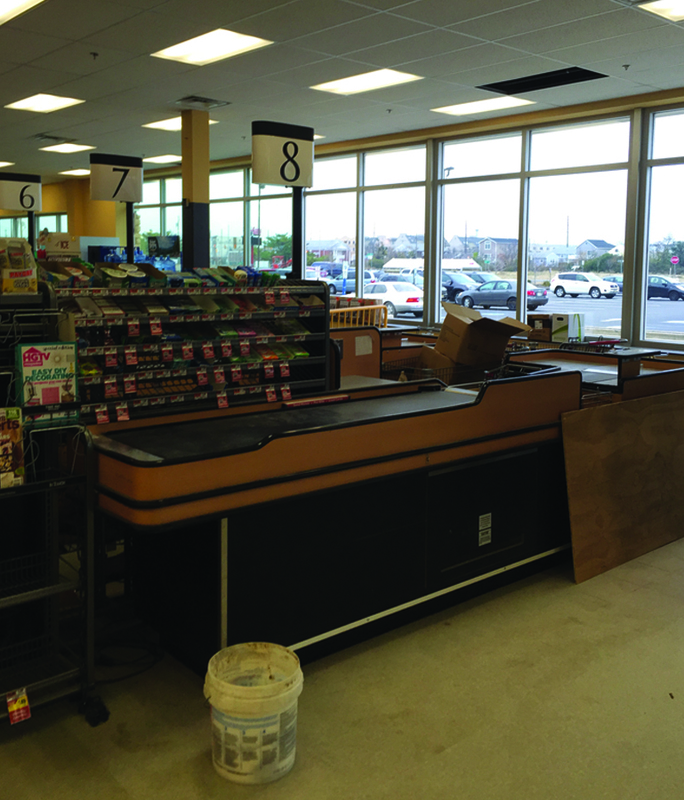 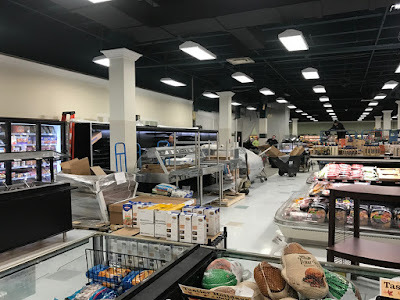 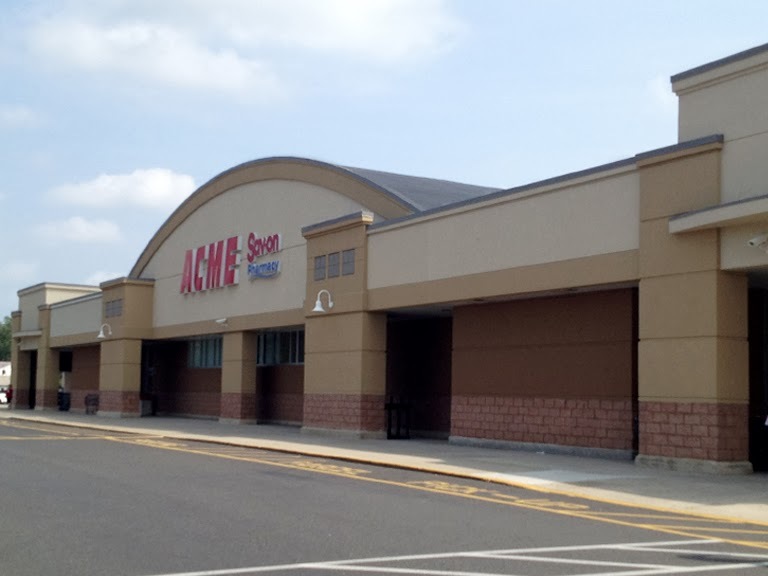 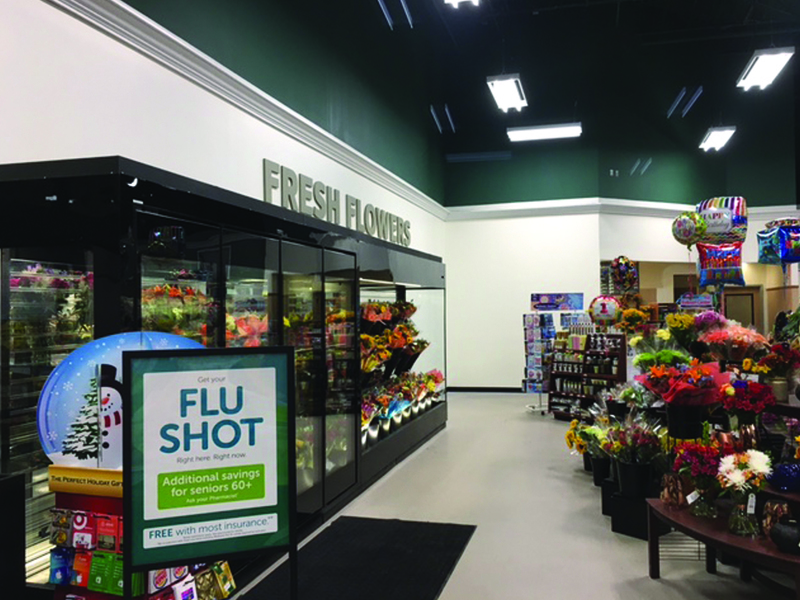 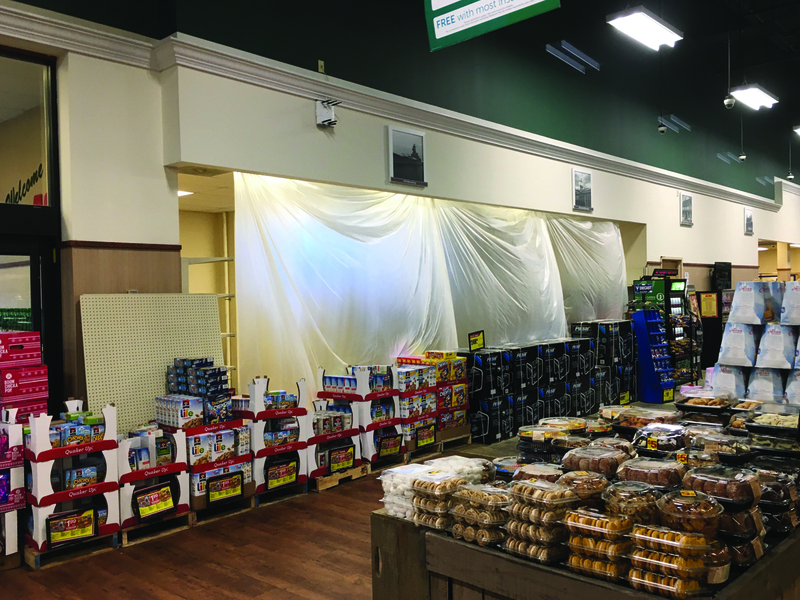 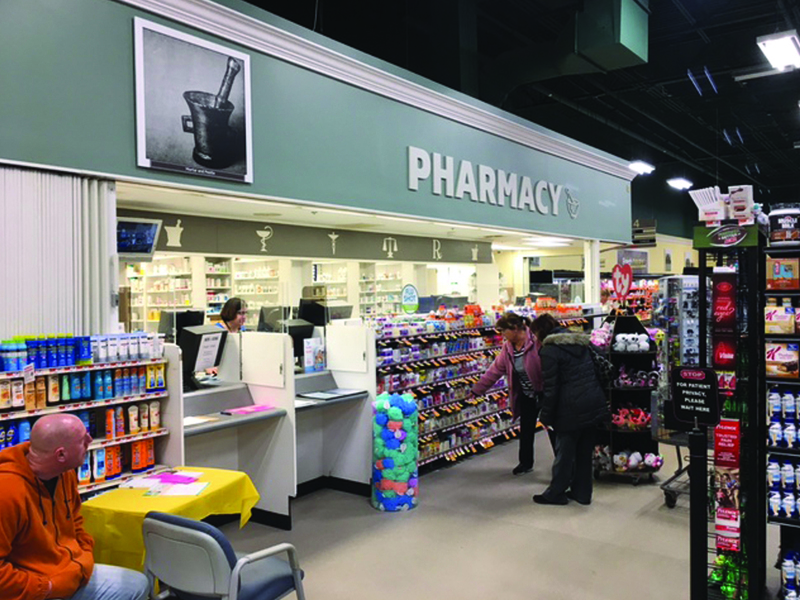 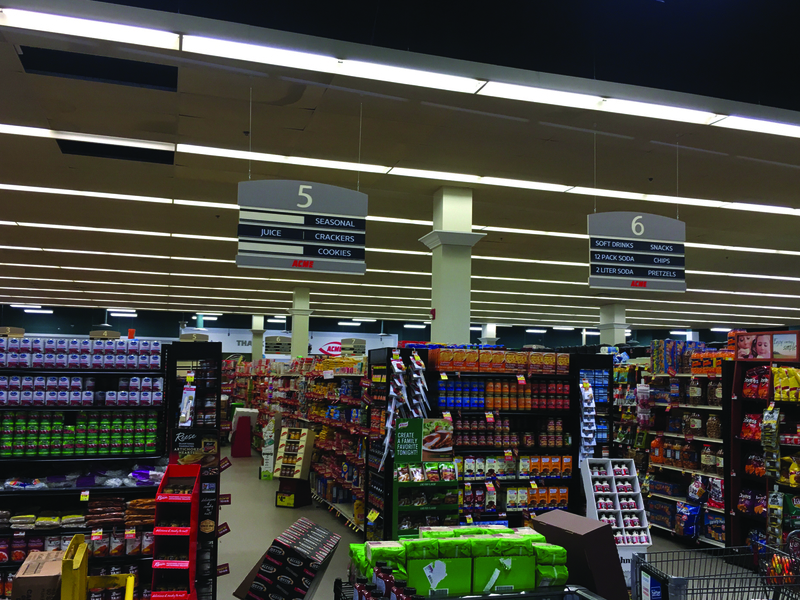 Acme is taking over the former space abandoned by ShopRite in Snyder Plaza in South Philly (pictured above) after that store moved to the fomer Pathmark in Whitman Plaza. 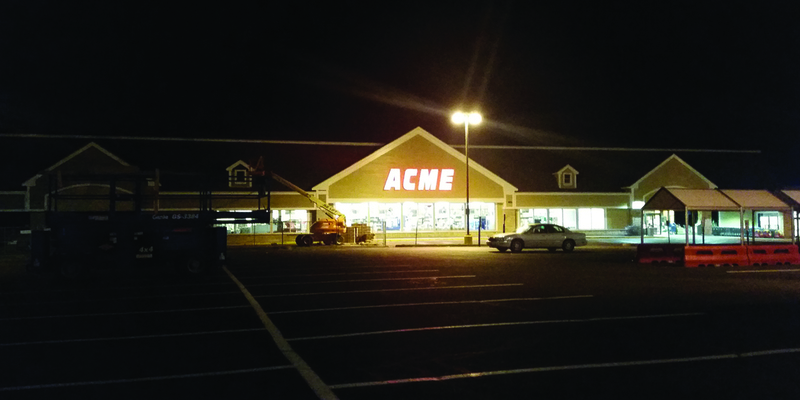 Opening is set for next Summer. You can check out more details at bizjourtnals.com by clicking here. 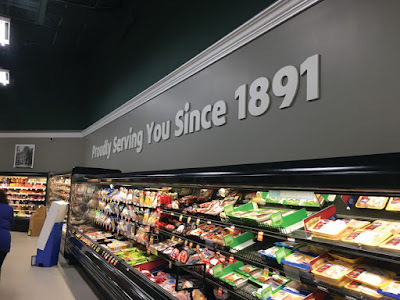 Thanks to Marv for being first with the news! 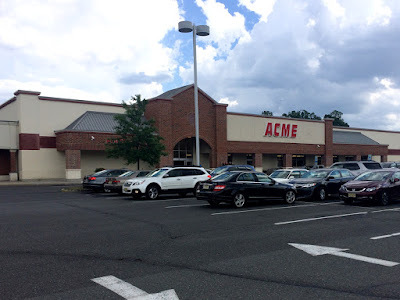 Update 12.2.16: The Snyder Plaza Acme will include a Starbucks! 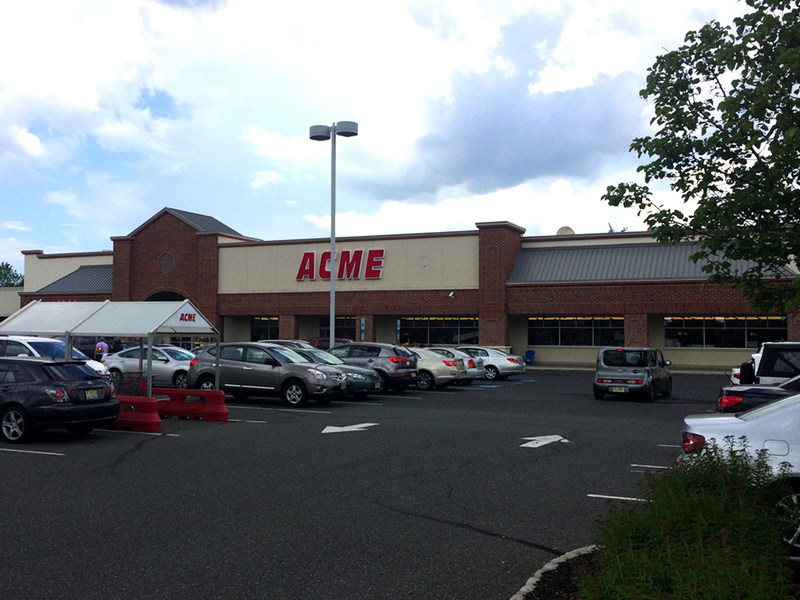 Taking a break from all the converted stores for a look at a regular ol' Acme. 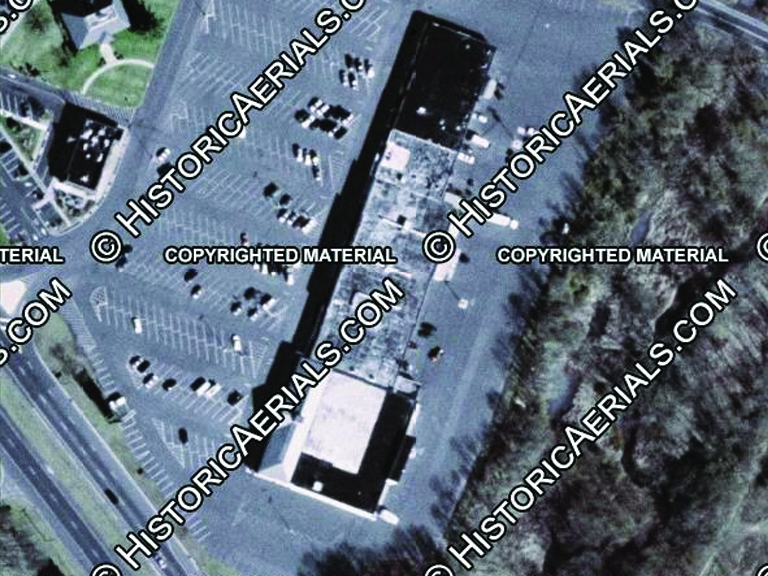 This location has been requested numerous times over the years but I just haven't gotten to it. 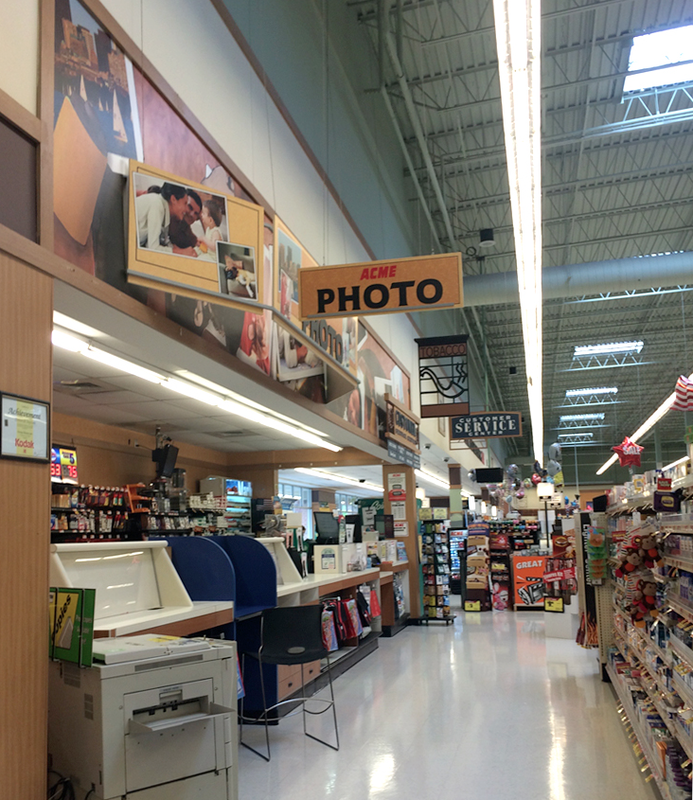 The pictures you'll be seeing here were taken a year and a half ago. 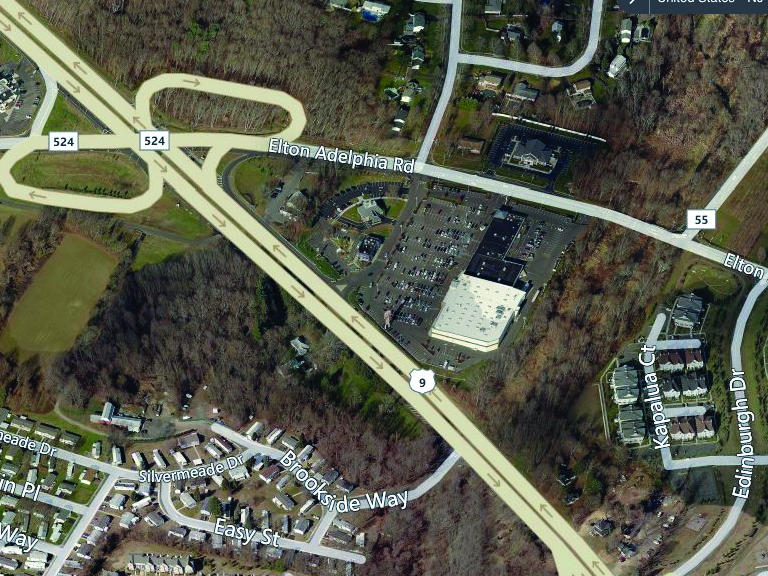 No idea if any significant changes have happened here since then. 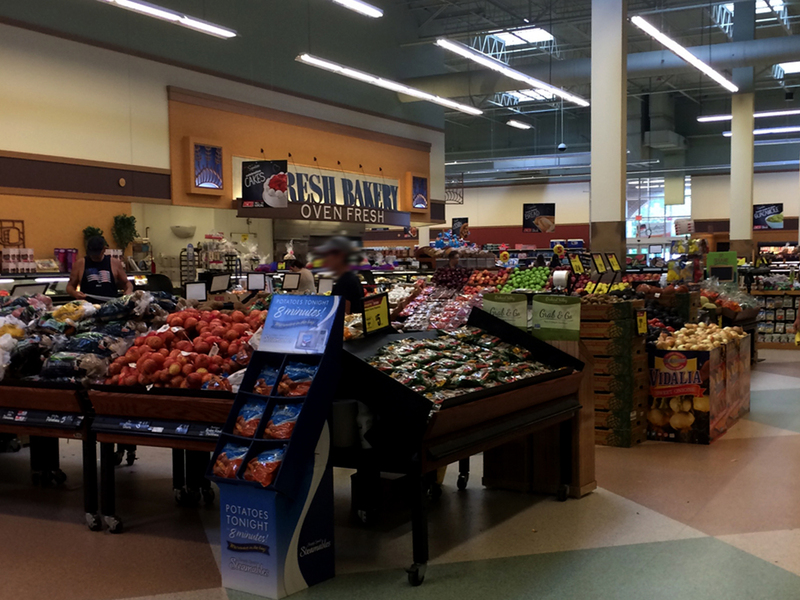 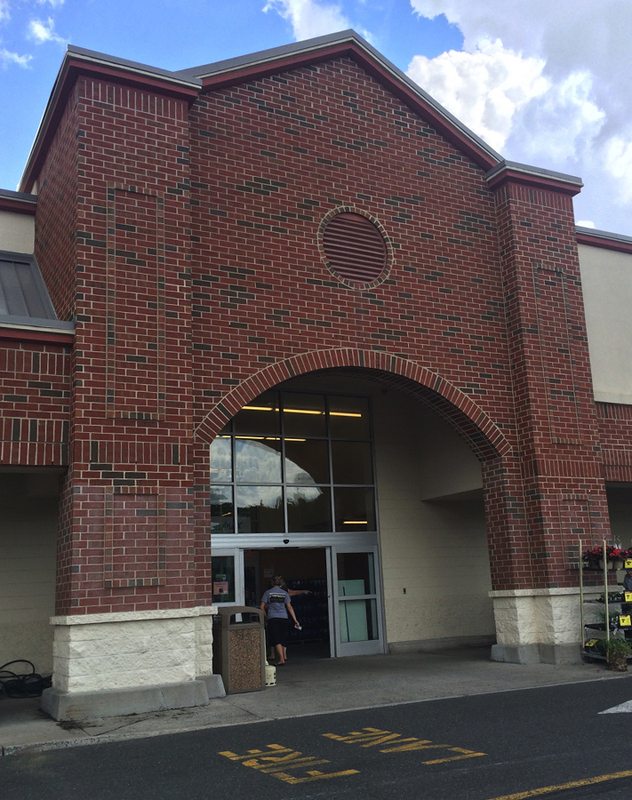 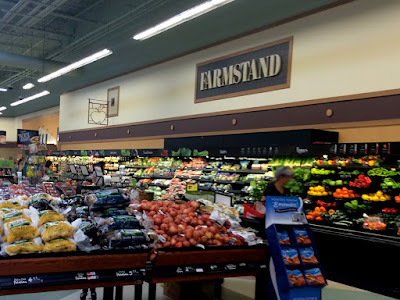 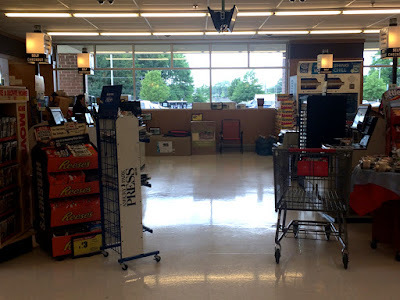 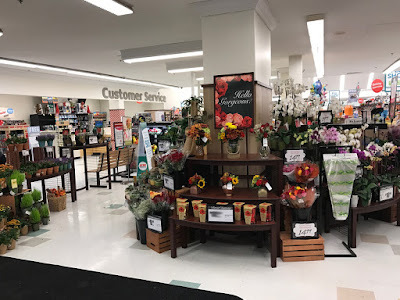 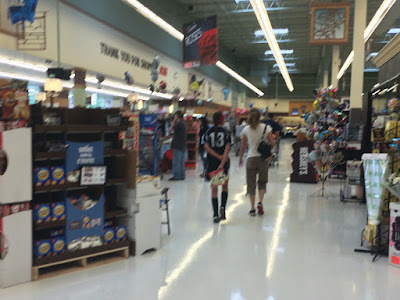 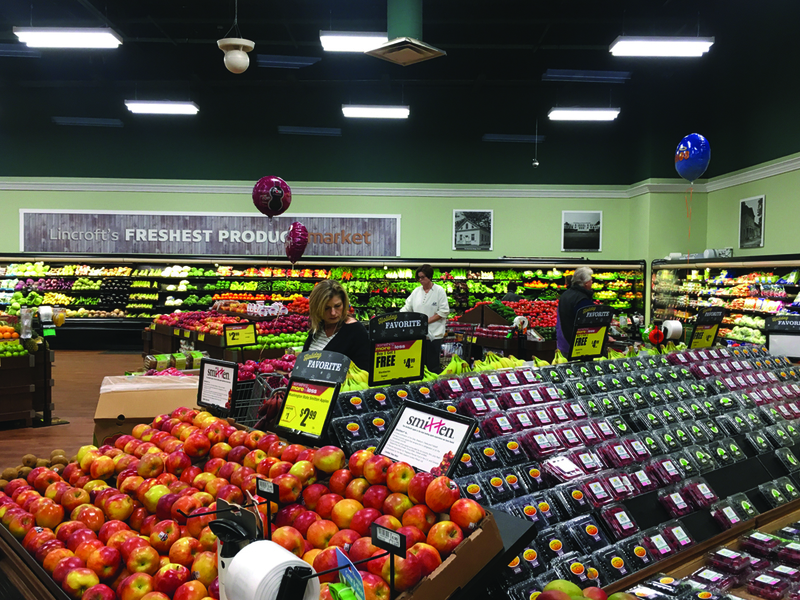 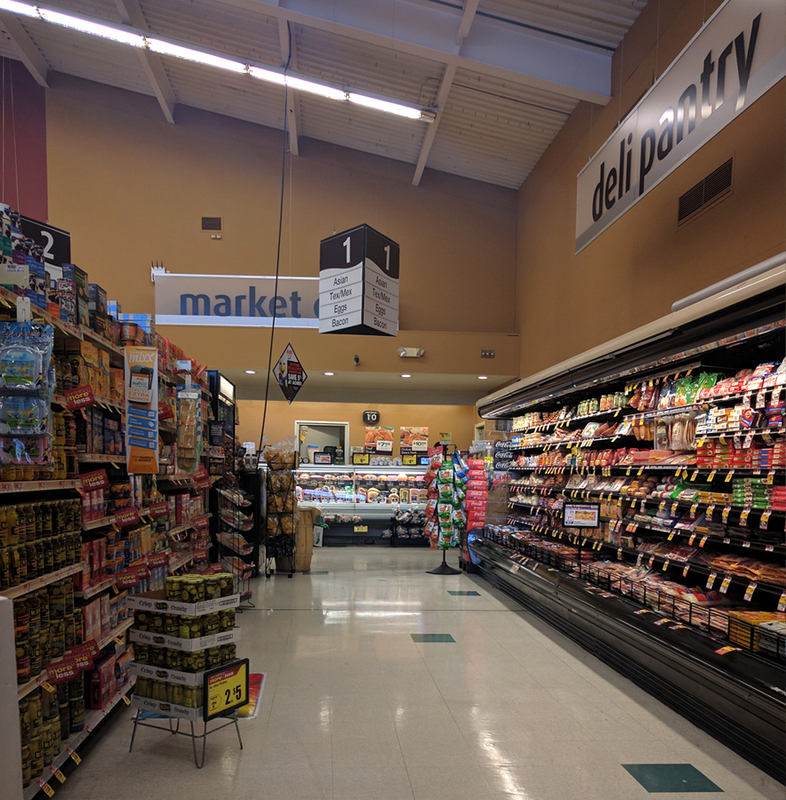 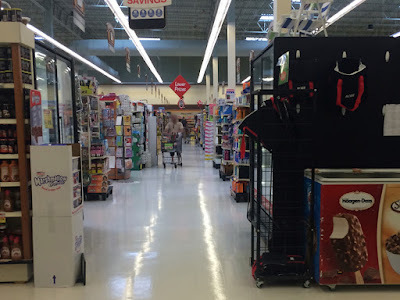 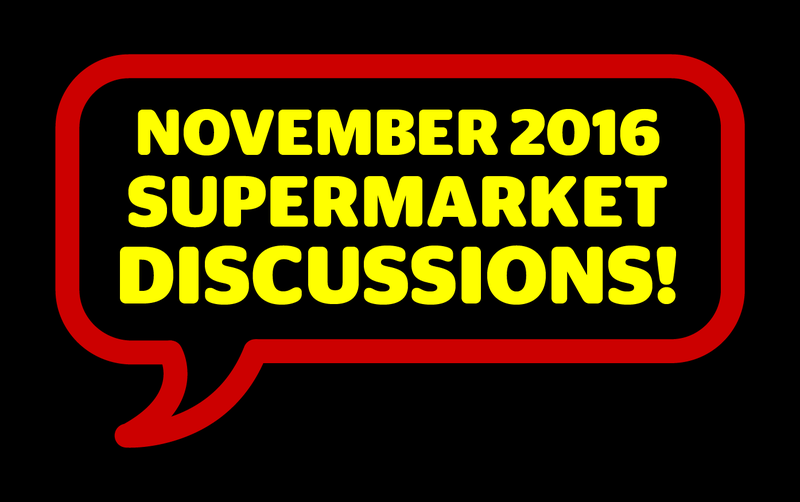 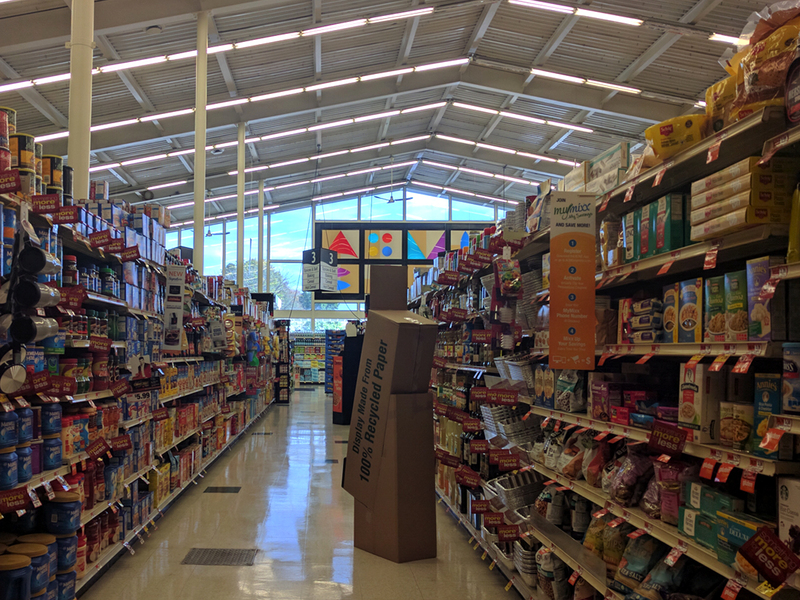 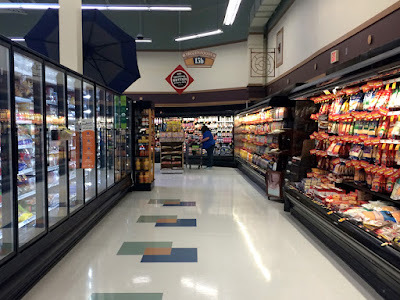 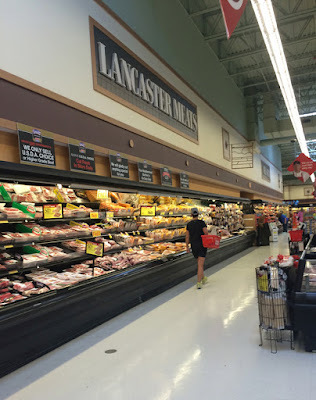 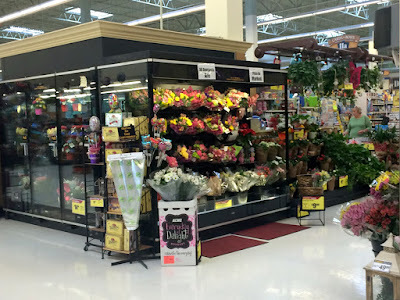 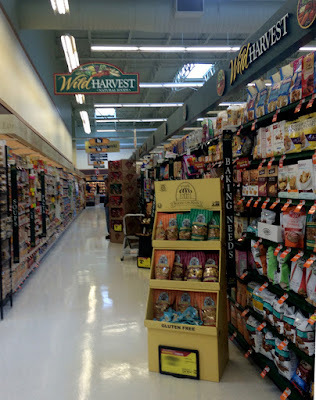 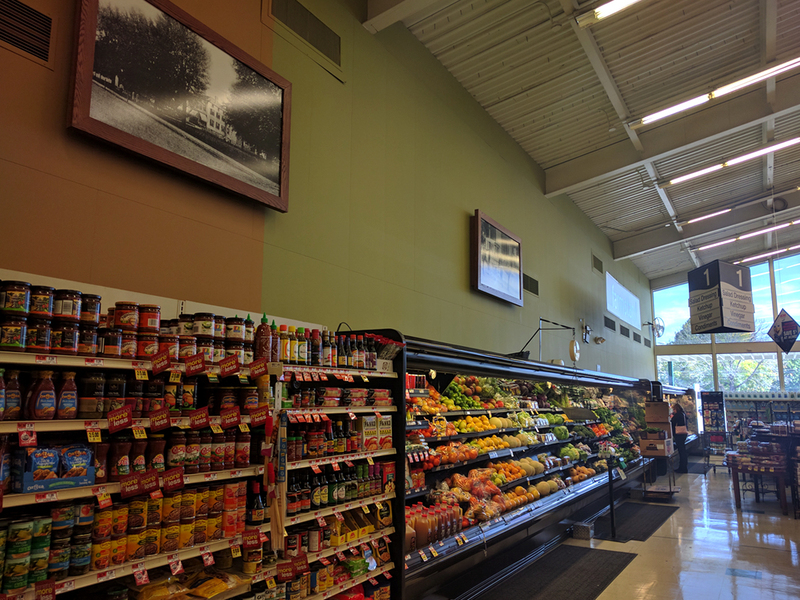 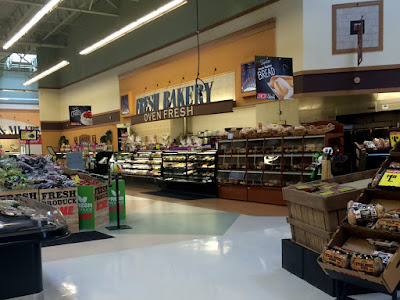 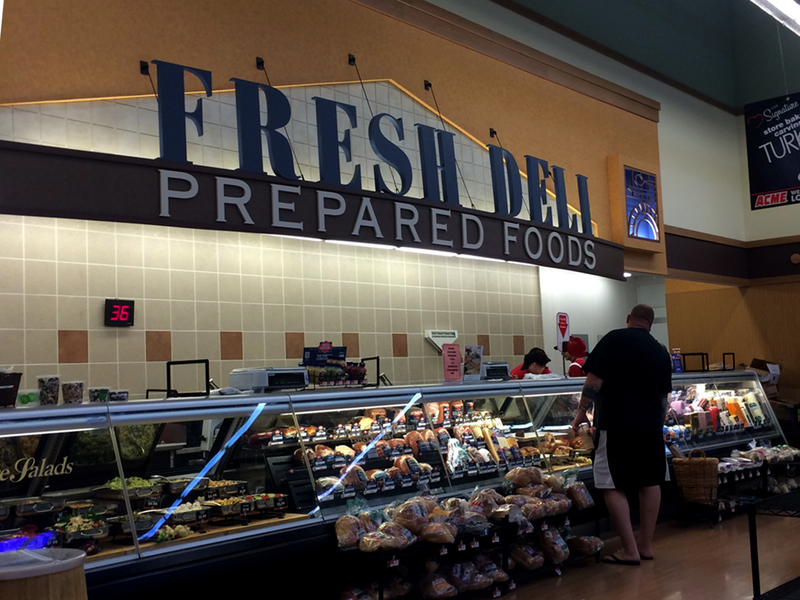 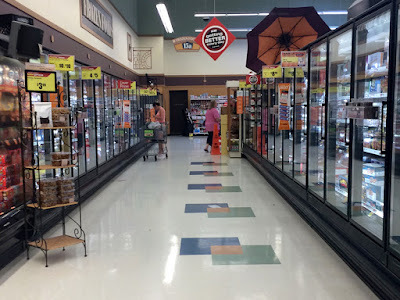 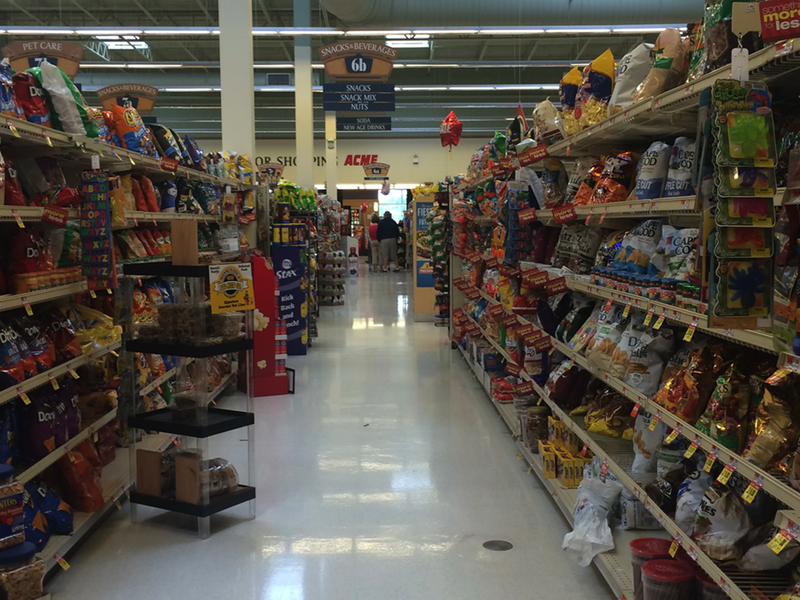 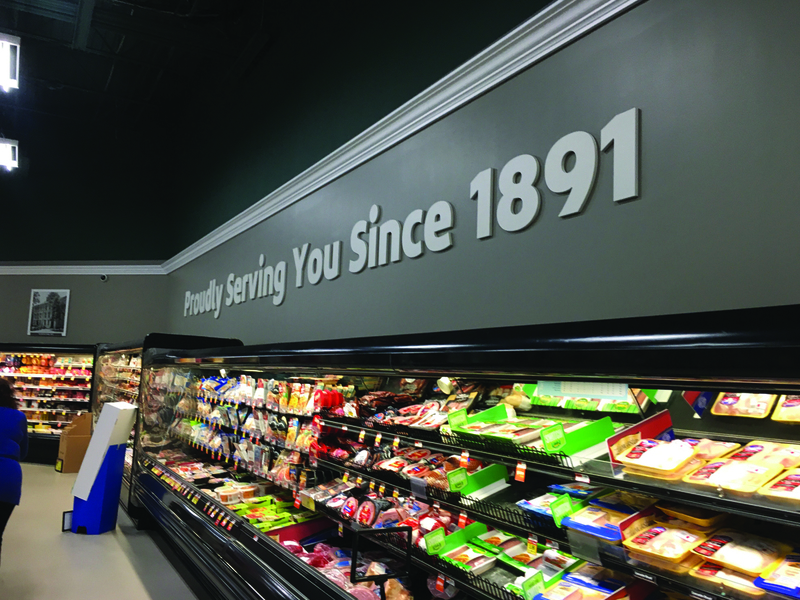 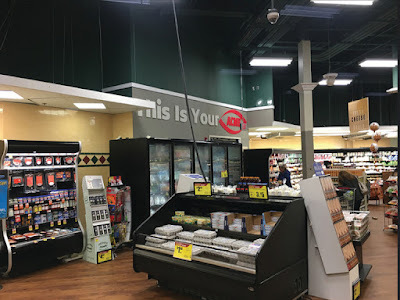 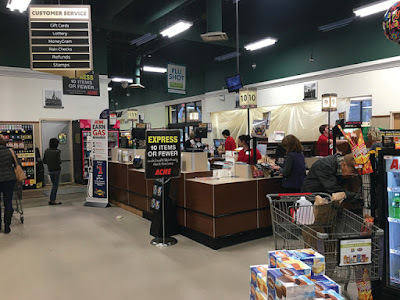 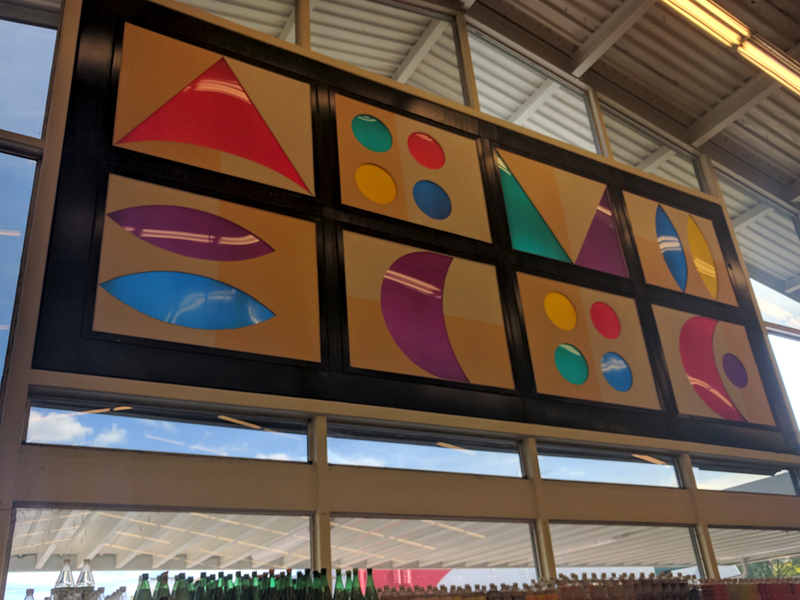 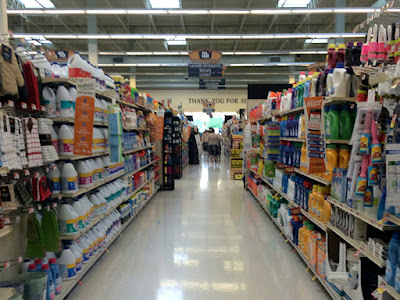 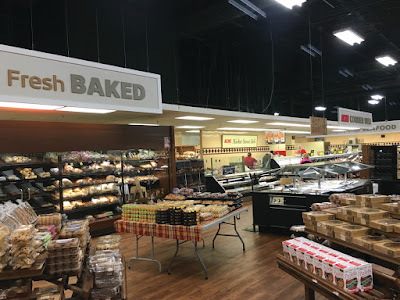 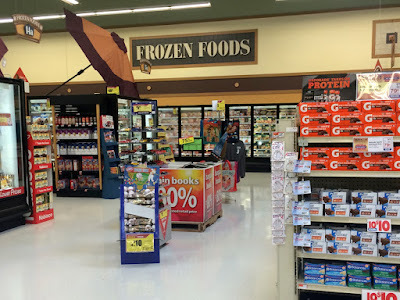 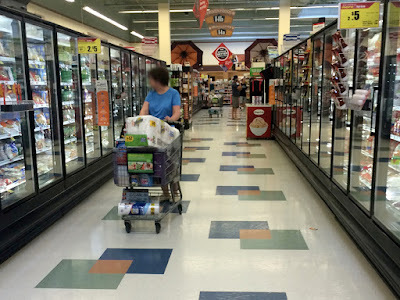 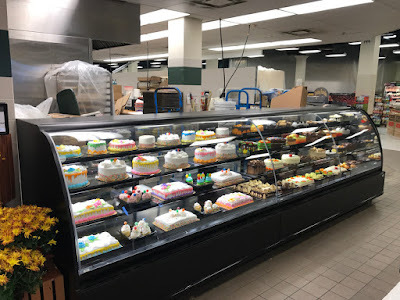 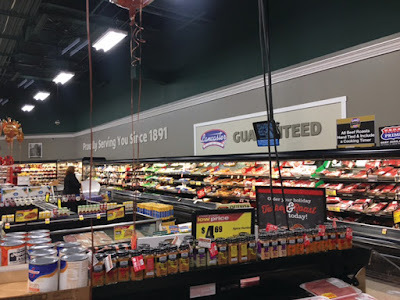 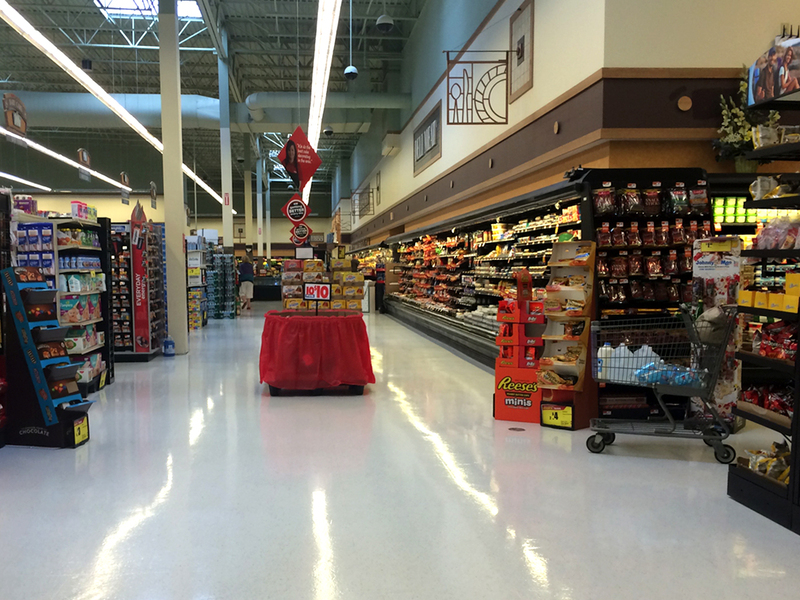 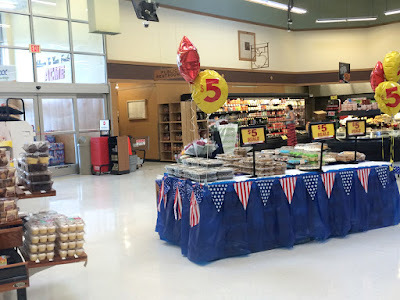 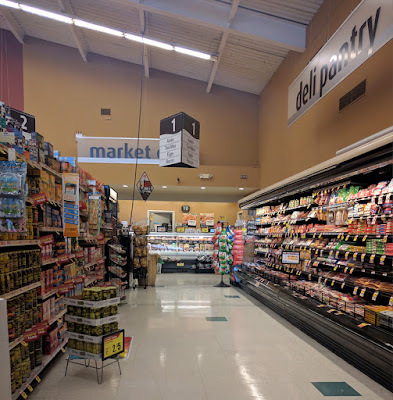 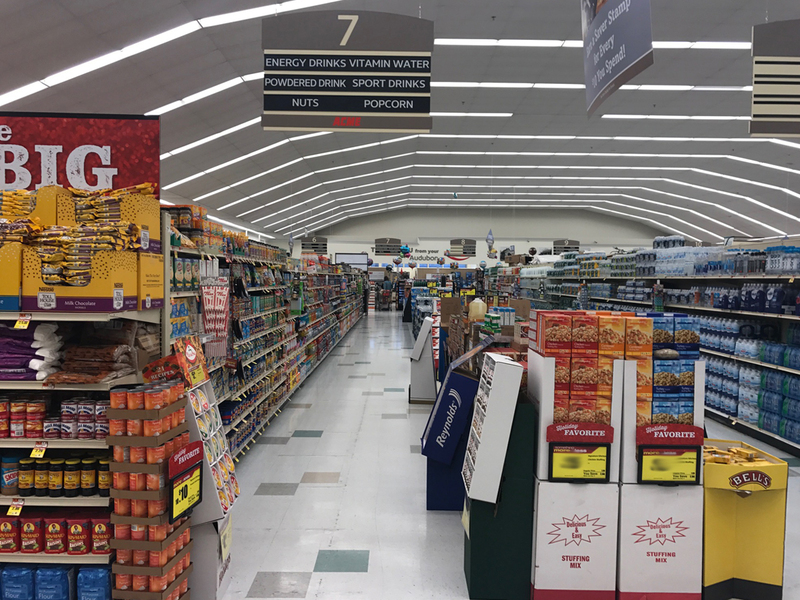 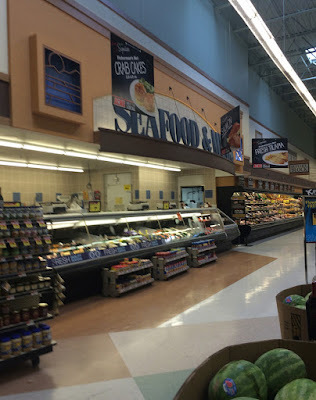 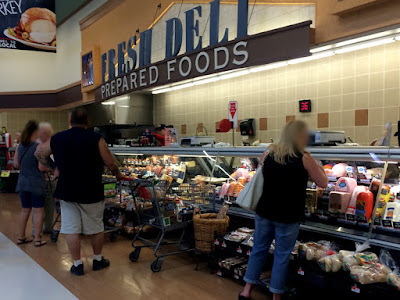 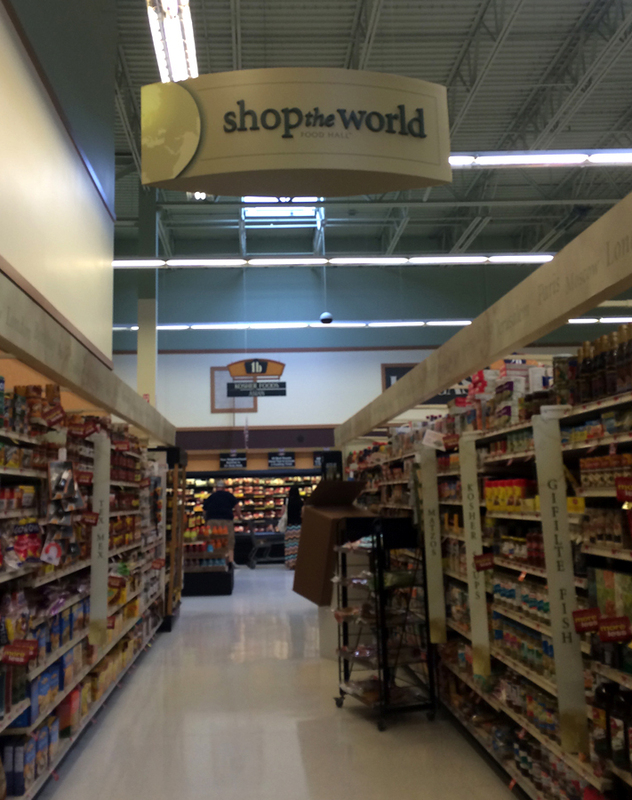 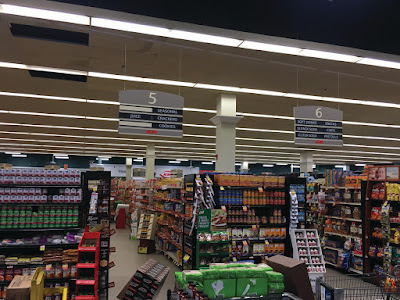 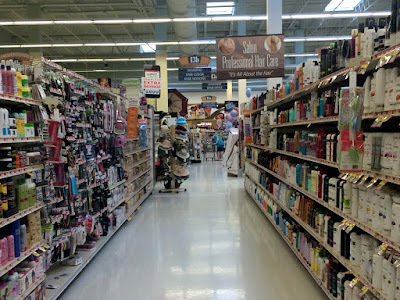 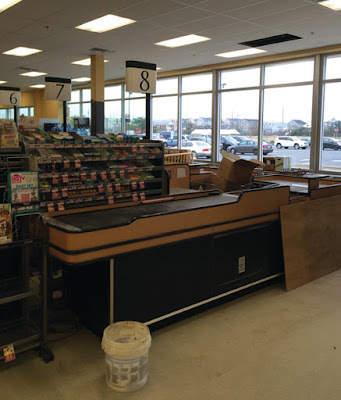 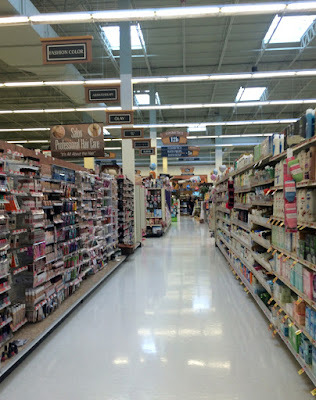 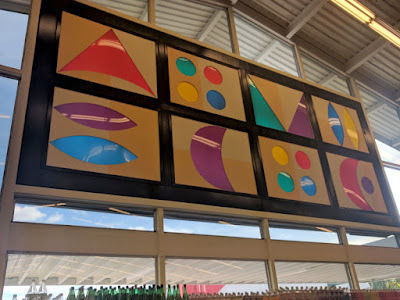 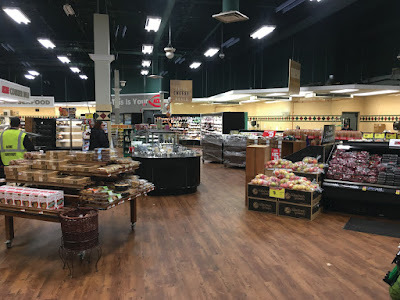 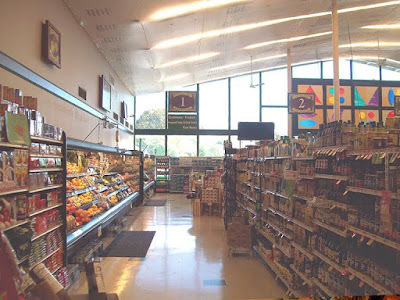 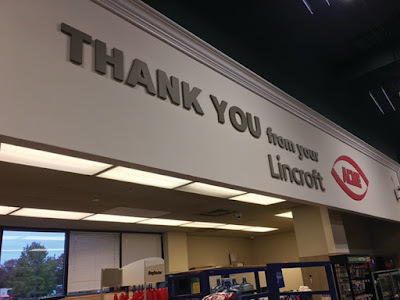 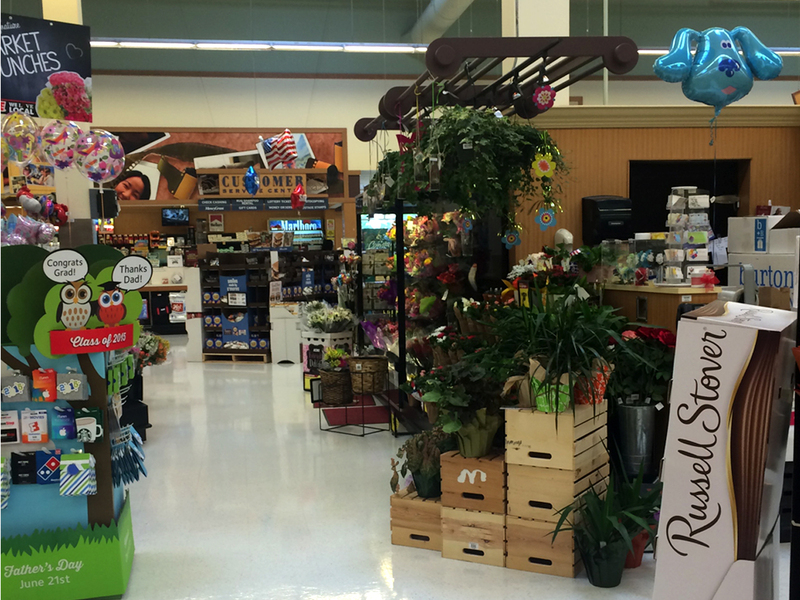 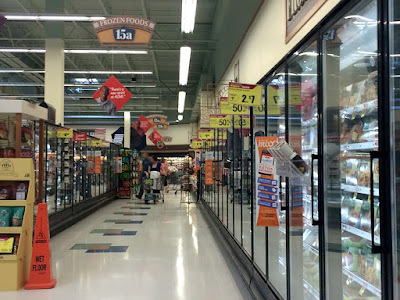 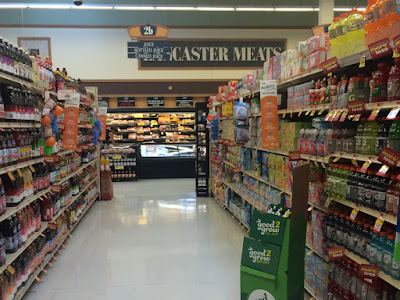 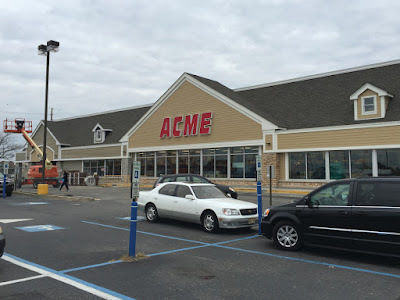 I had planned to get this post up last year but then the A&P acquisition happened and the course of this blog, and Acme Markets, was forever changed. 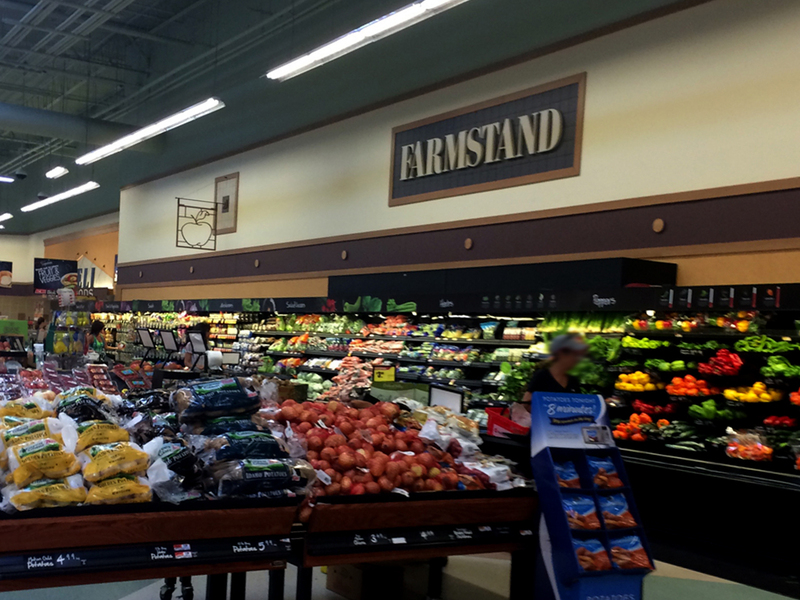 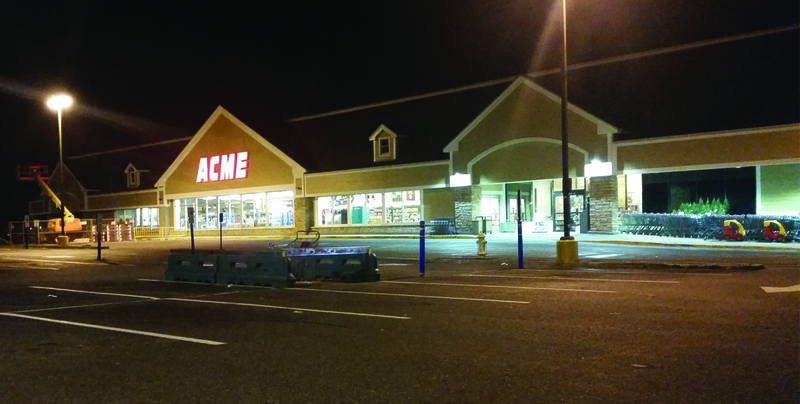 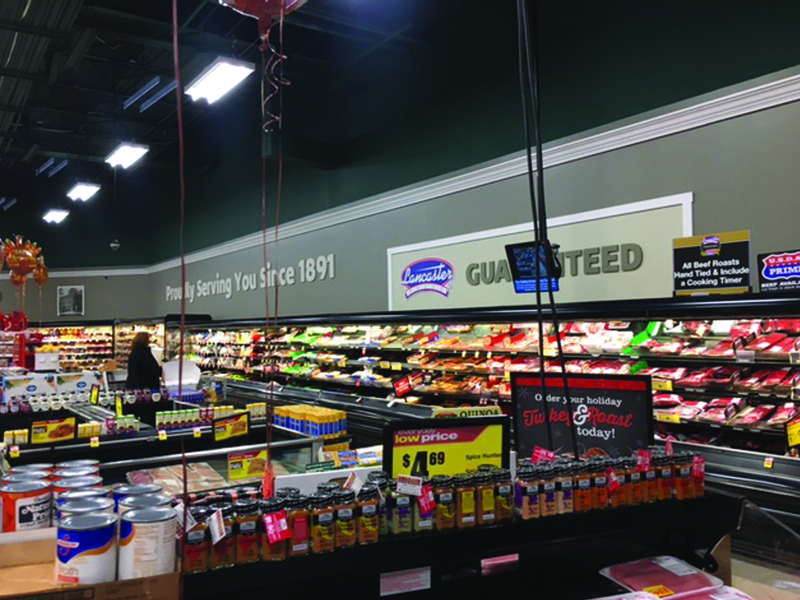 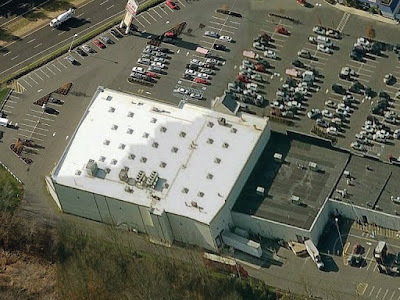 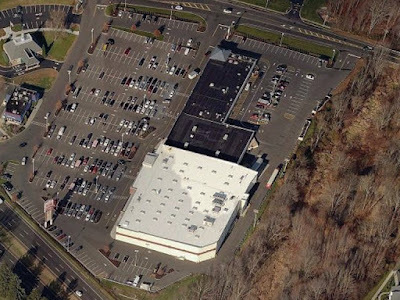 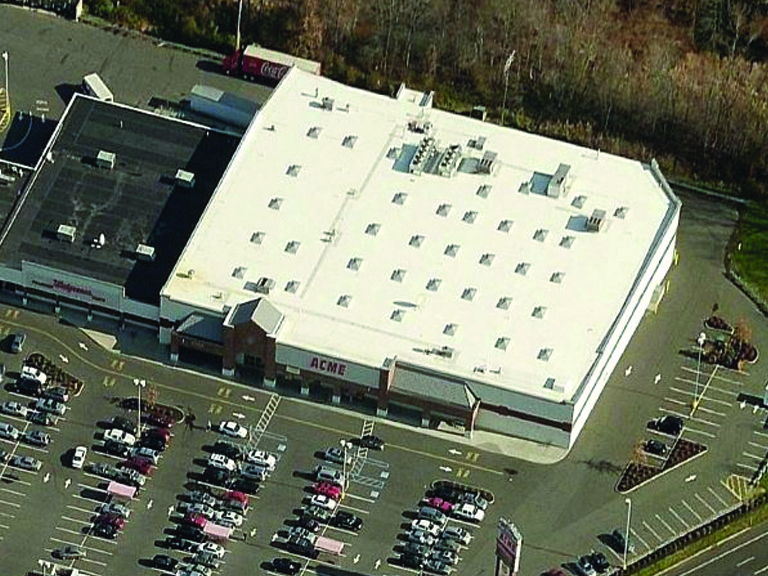 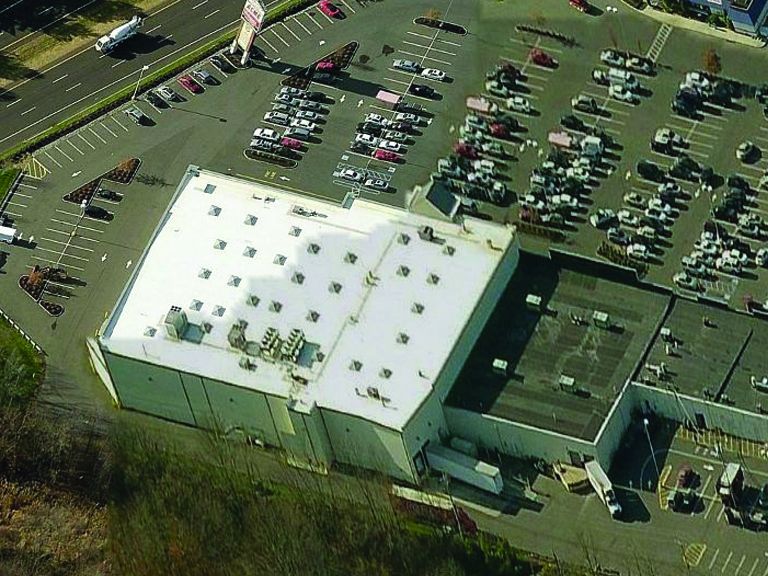 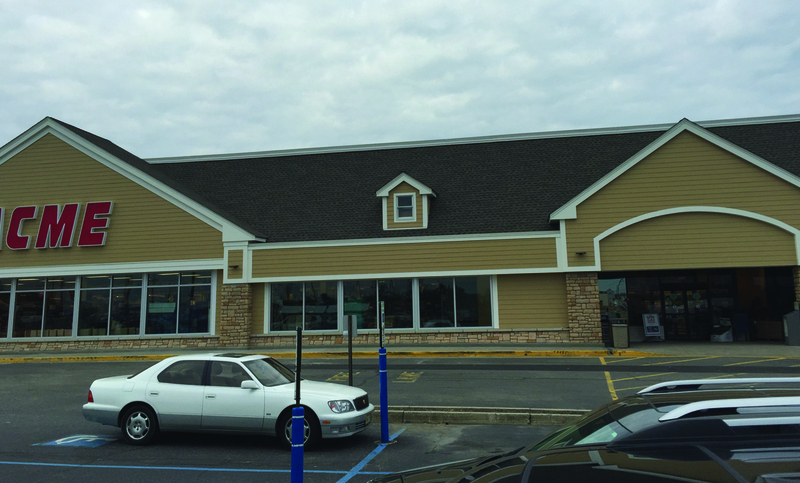 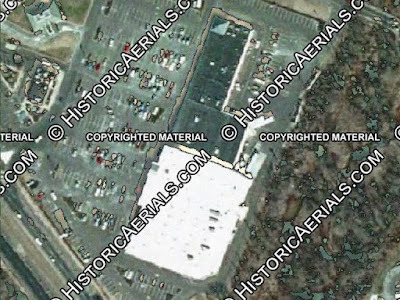 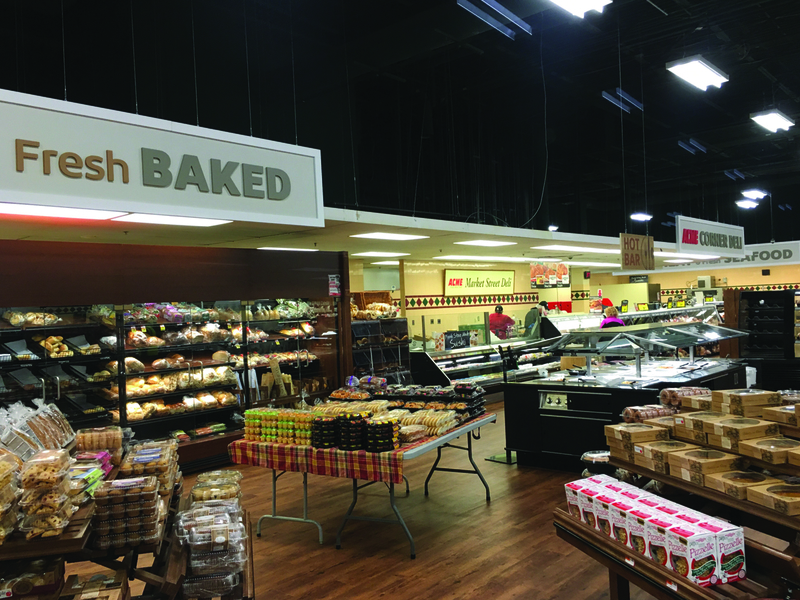 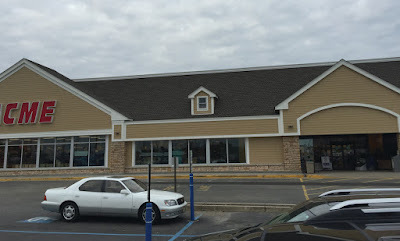 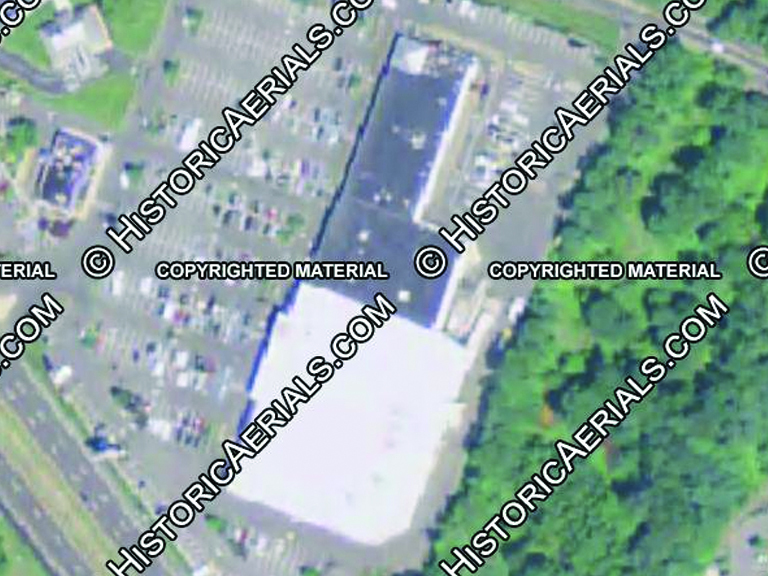 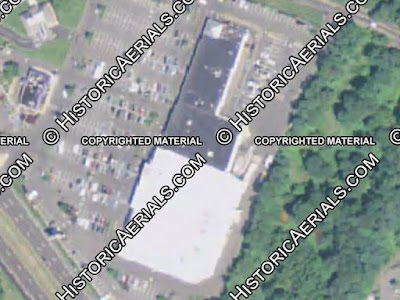 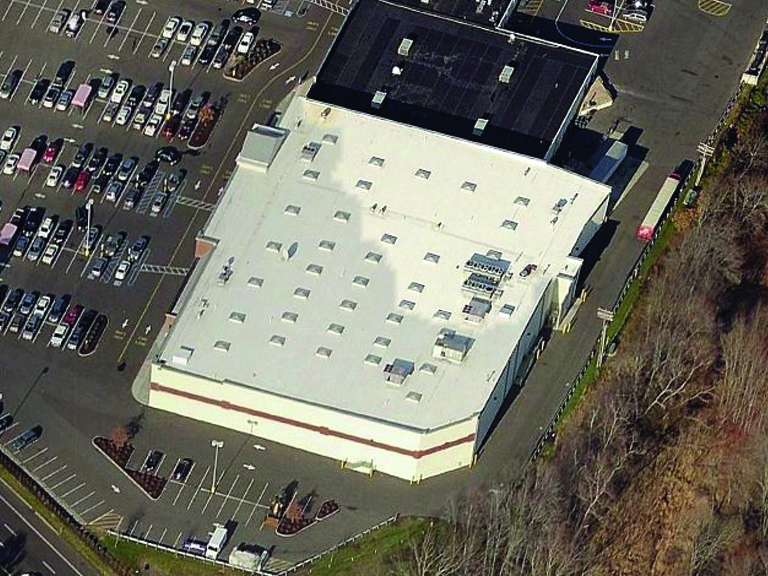 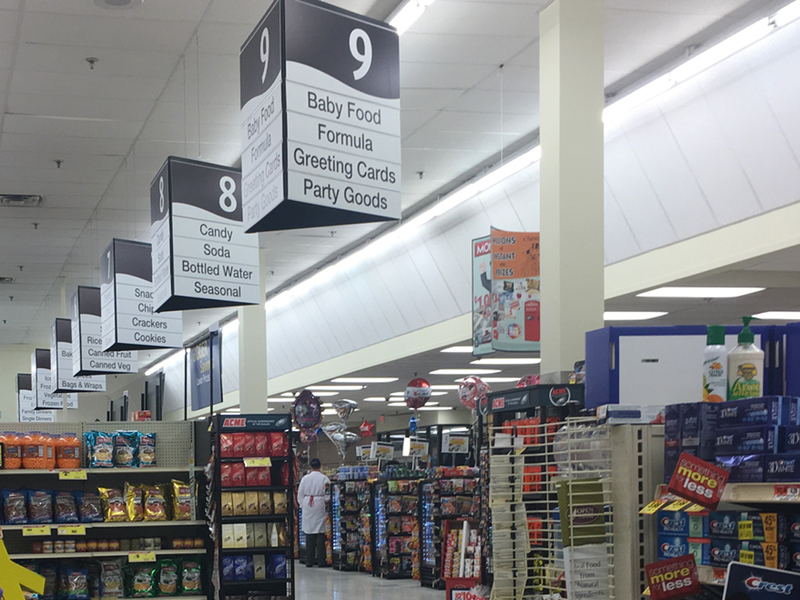 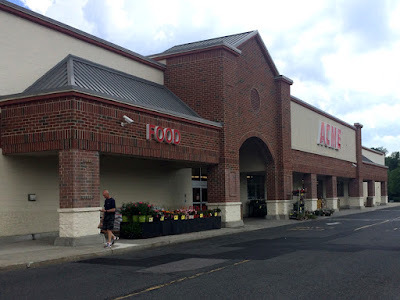 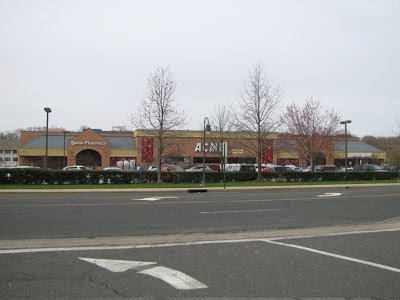 Freehold was the home of 2 brand-new Acmes in the early 2000's. 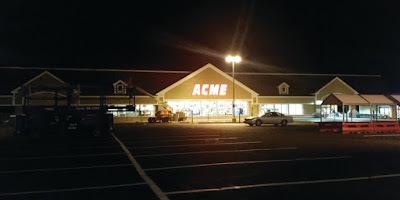 This location managed to survive and apparently does pretty decent business. 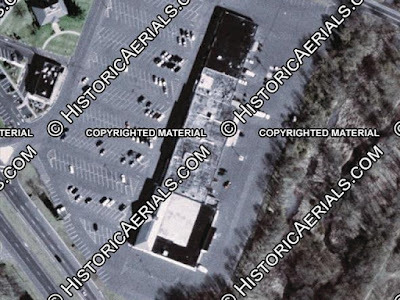 The other location on 200 Mounts Corner Drive lasted a miserable 13 months. 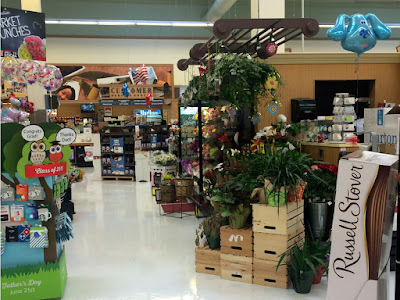 If you're not familiar with that store, you can catch up by clicking here. 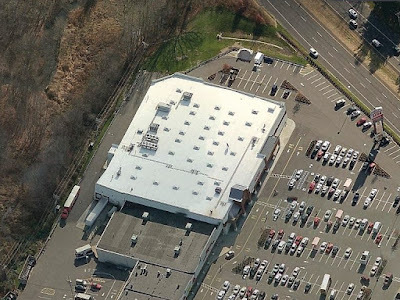 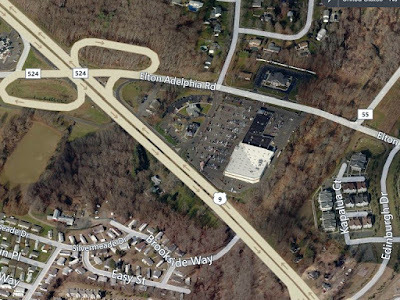 You can see a Starbucks/Seatle's Best/Bucks County Coffee? label scar to the right of the Acme sign. 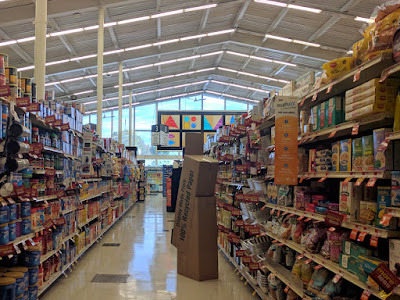 This store apparently never had "Save-on" added to front. Funny how Acme yanked the branded coffee bars out of their stores in recent years and now can't seem to open them up fast enough in the former A&P stores. 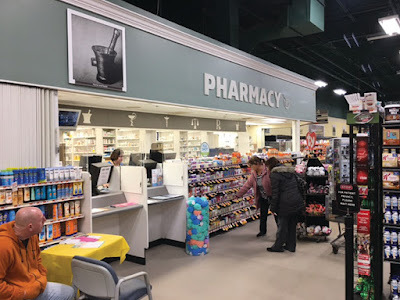 No Pharmacy or Save-on signage. I should have looked closer for label scars. 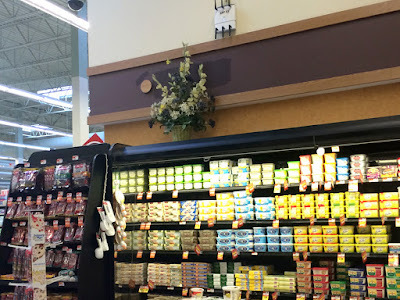 Update: No I shouldn't have. 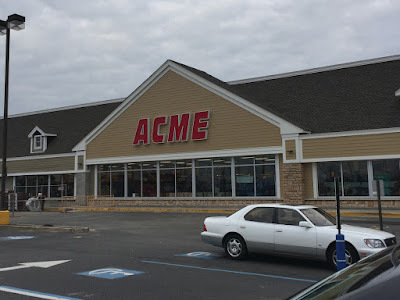 This Acme doesn't have a Pharmacy! 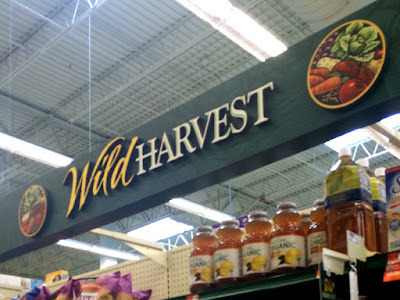 Dated signage in the Wild Harvest aisle. 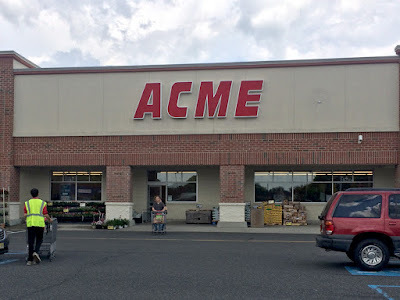 Probably all removed by now since Acme is all O Organics these days. 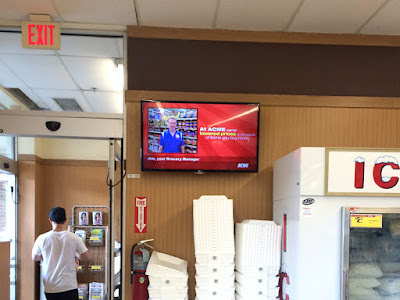 Side note: O Organics commercials have been running very frequently on the New York City TV stations. They're very well done. 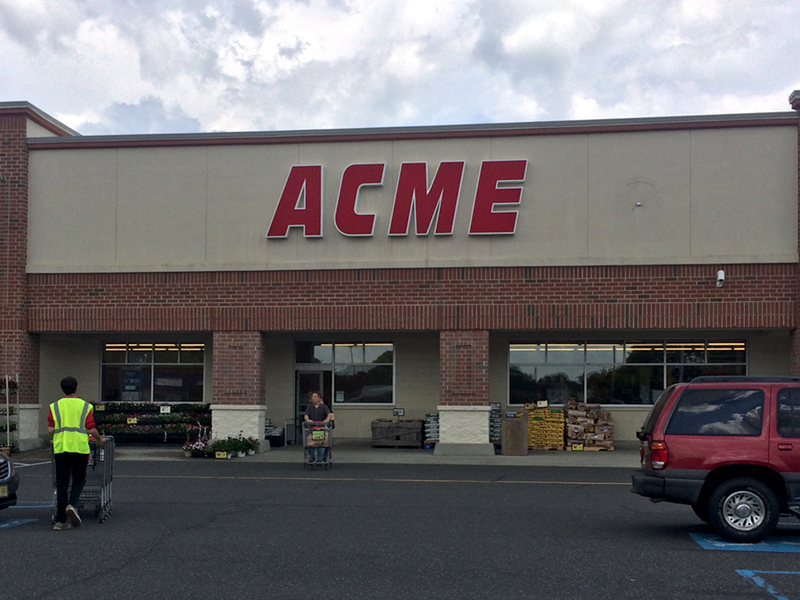 Completely generic until the end when the announcer says you can find the products at Acme. 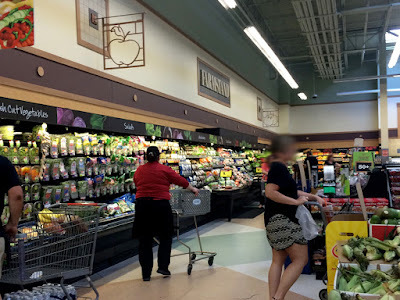 The "Organics For All" tagline is very catchy and a nice slam against Whole Foods whole paycheck perception. 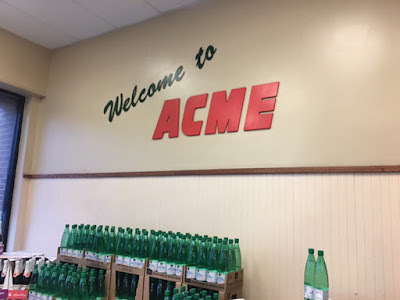 It worked on me. I've shifted nearly all of my Whole Foods shopping over to the six new Acmes in my area. 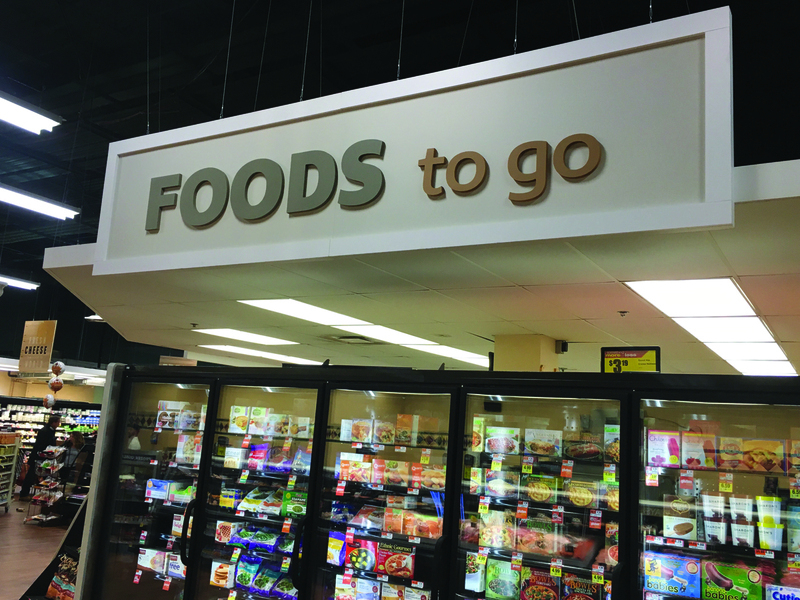 It's funny with these Alberstons Marketplace stores... I usually like them in person but in pictures, they always look painfully dull. 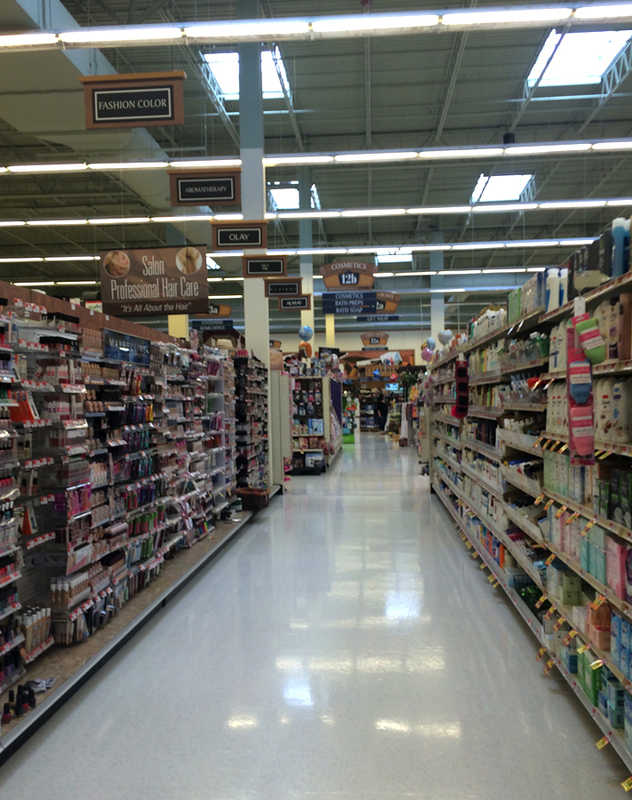 I think the photos tend to capture more of a warehouse feel than actually exists when your in the store in person. 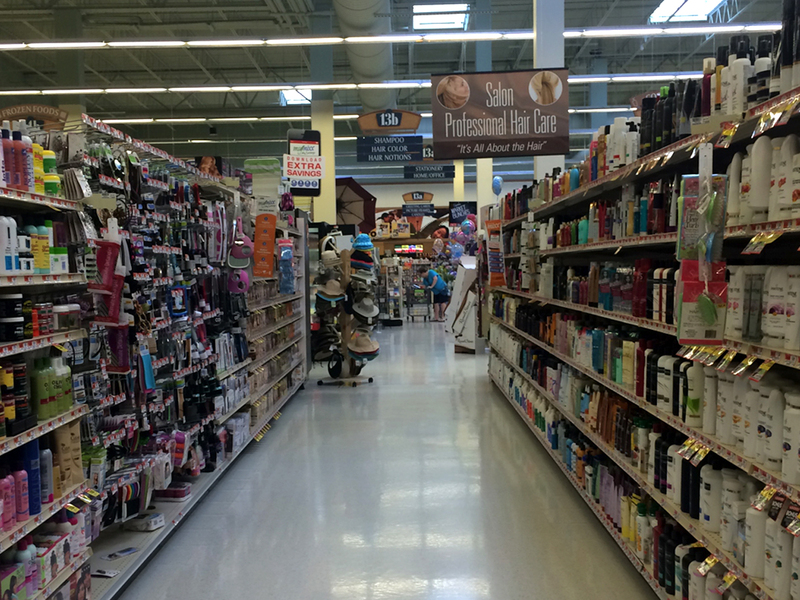 Hair Care sign is still up! 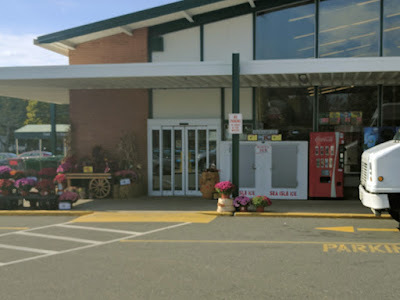 These were standard issue for these new stores back in the early 2000's. 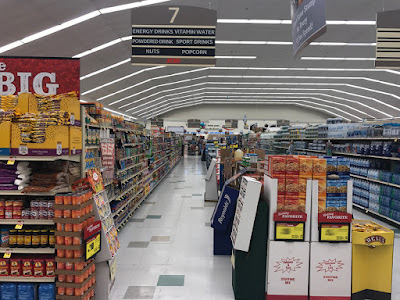 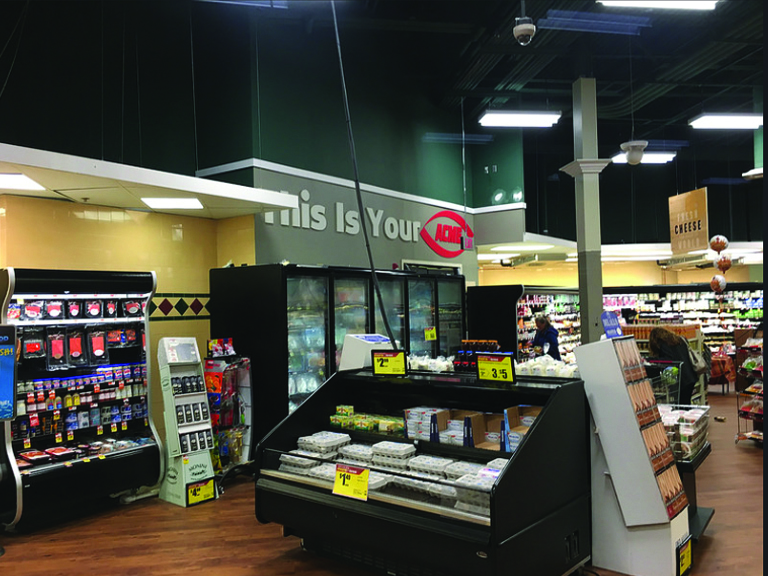 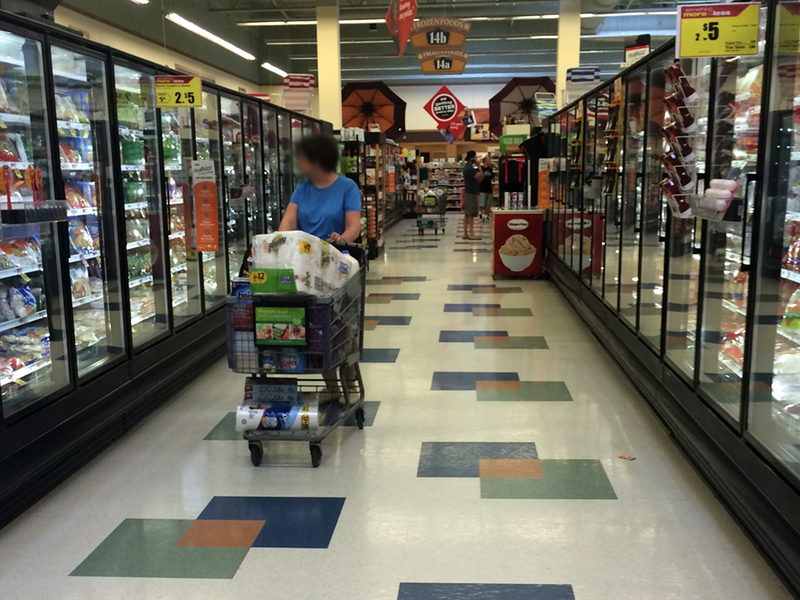 Nit picking here but one thing I don't like about the Alberstons Marketplace stores is the Dairy alcove. 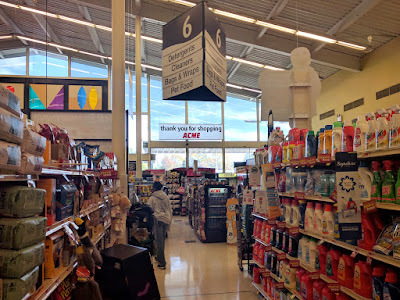 I prefer an aisle over an alcove in this part of the store. Alcoves tend to get junked up with displays and interrupt the flow of the store. 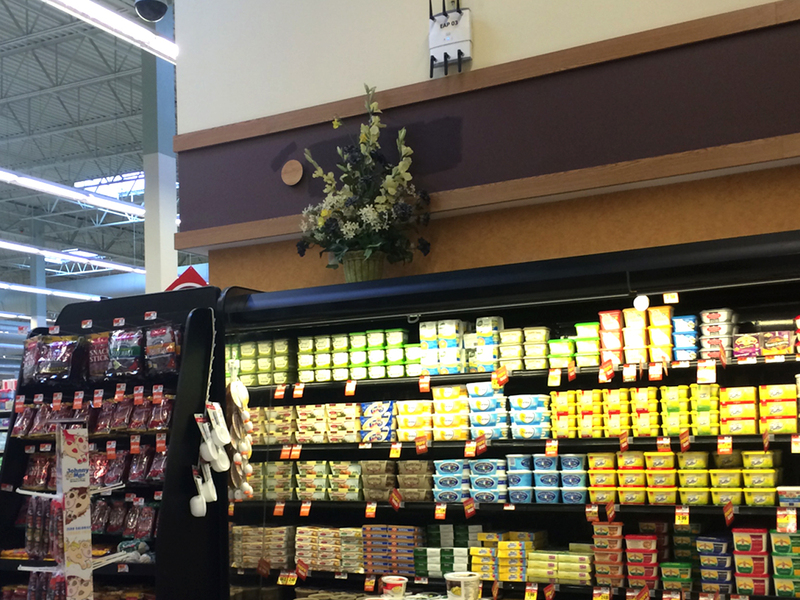 Strategically placed floral arrangement to help cover up some mismatched paint on the wall. 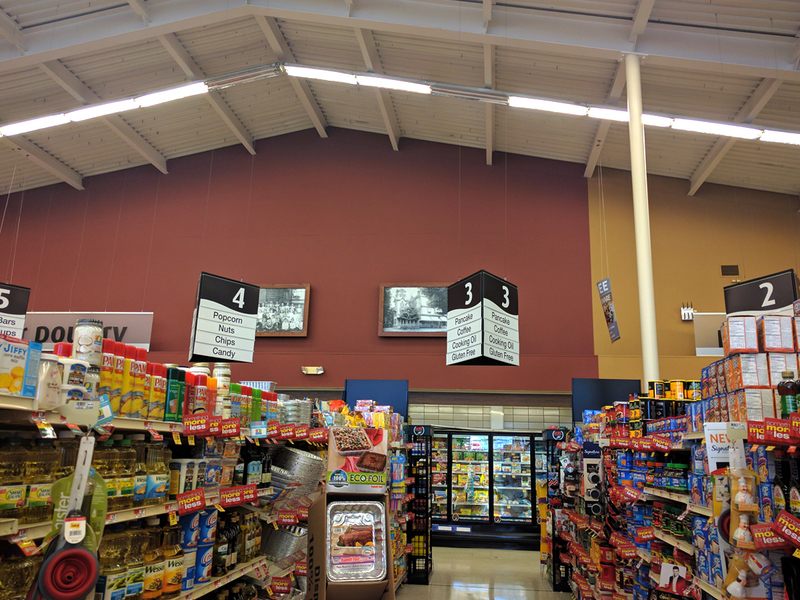 These dust collectors used to appear above the cases throughout theses stores back when they opened. 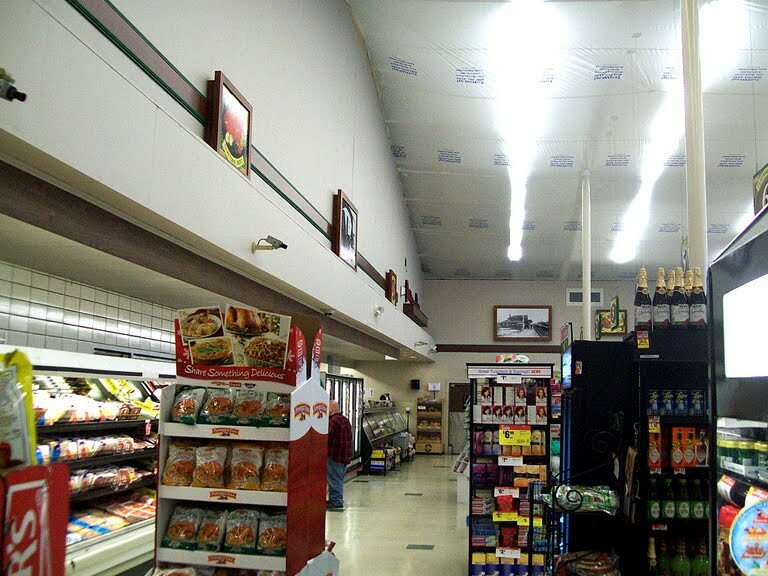 Center aisle looking over toward the Produce side of the store. 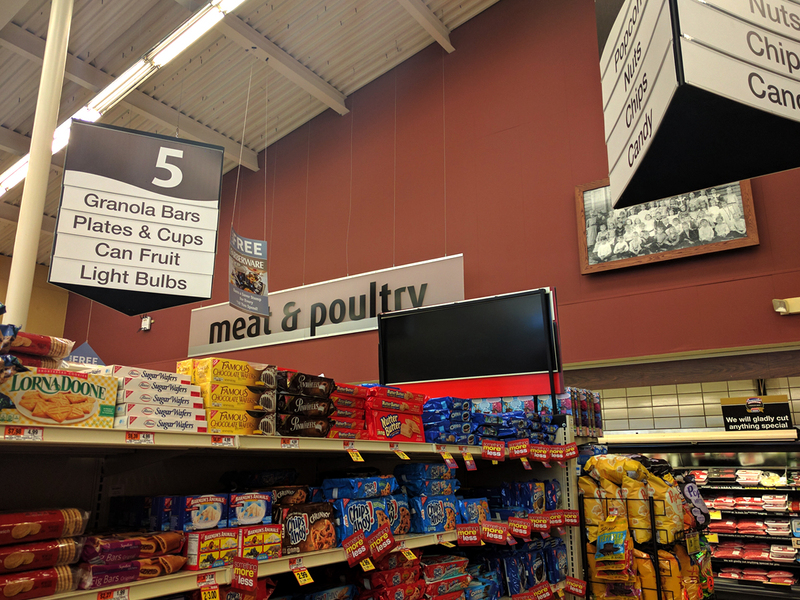 World's worst aisle markers. They tell you virtually nothing. Blurry look a the front-end. 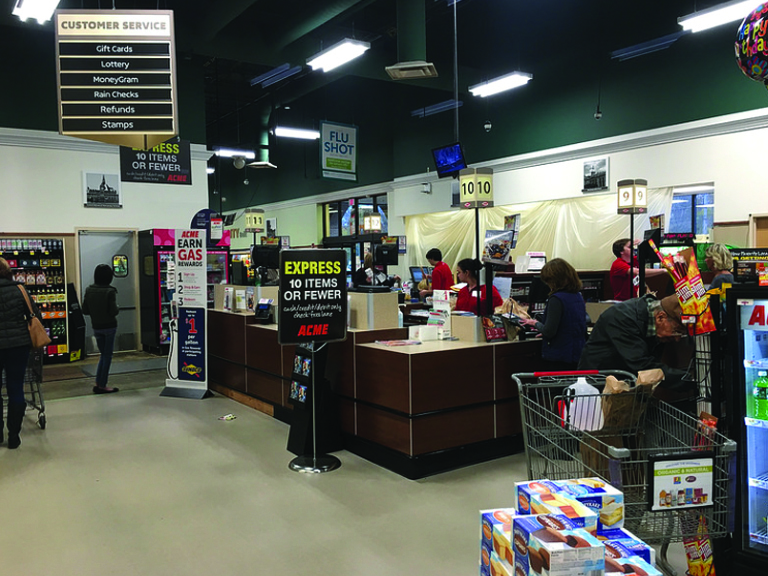 Self-checkouts may have been removed by now. 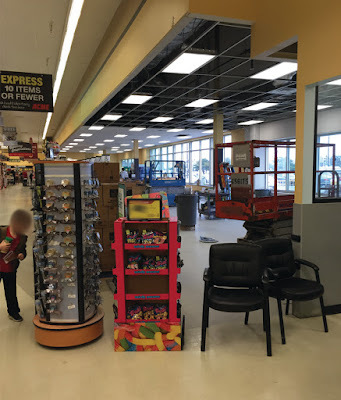 Flat screen TVs were getting added to stores back in 2015. 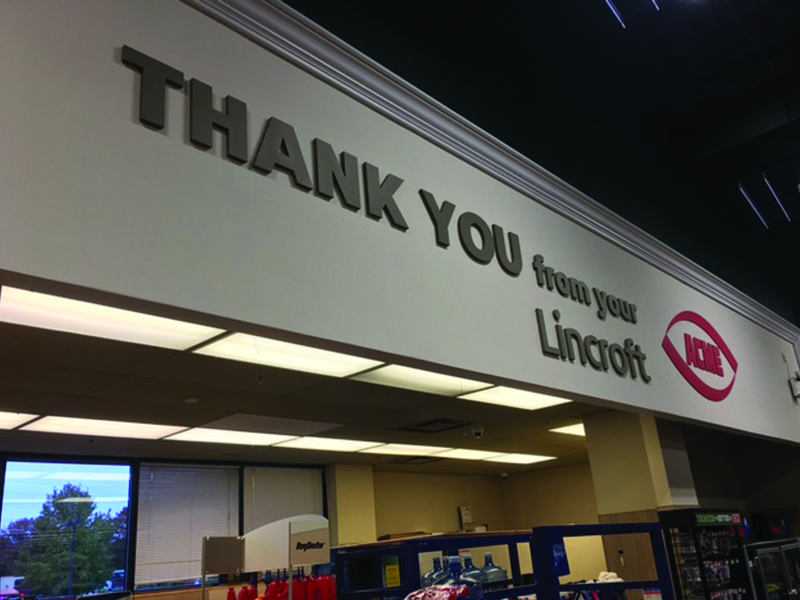 The screens feature slideshows of the store's employees. They have not been installed in the converted stores. 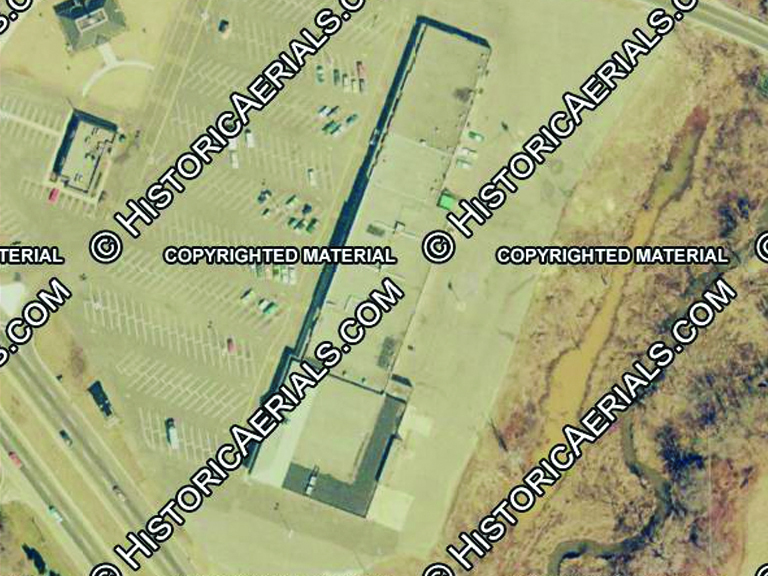 Judging by the parking lot in various aerial views, the store attracts a decent crowd. 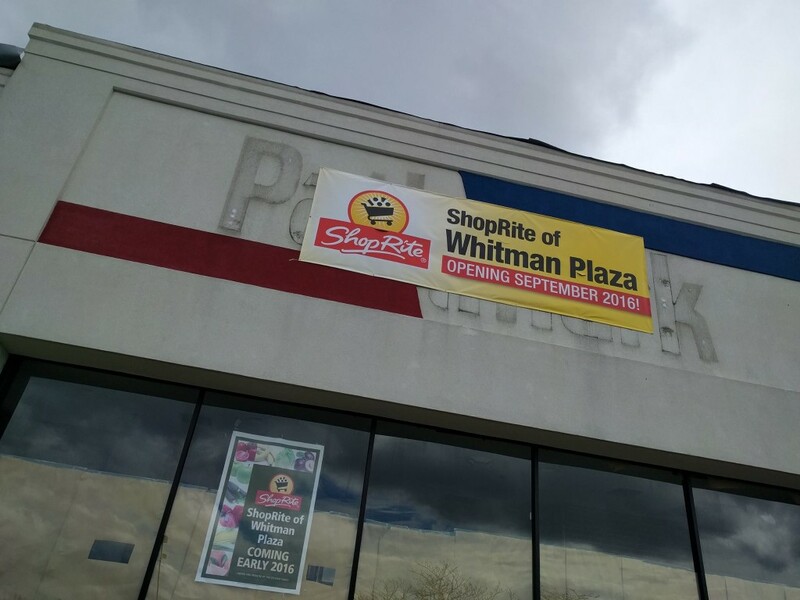 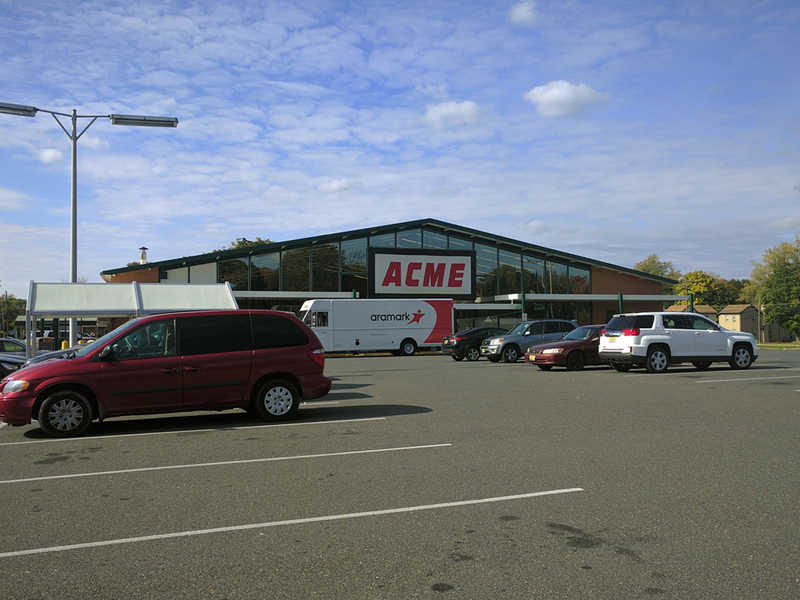 ShopRite is located about 10 minutes away and Wegmans about 15 minutes. 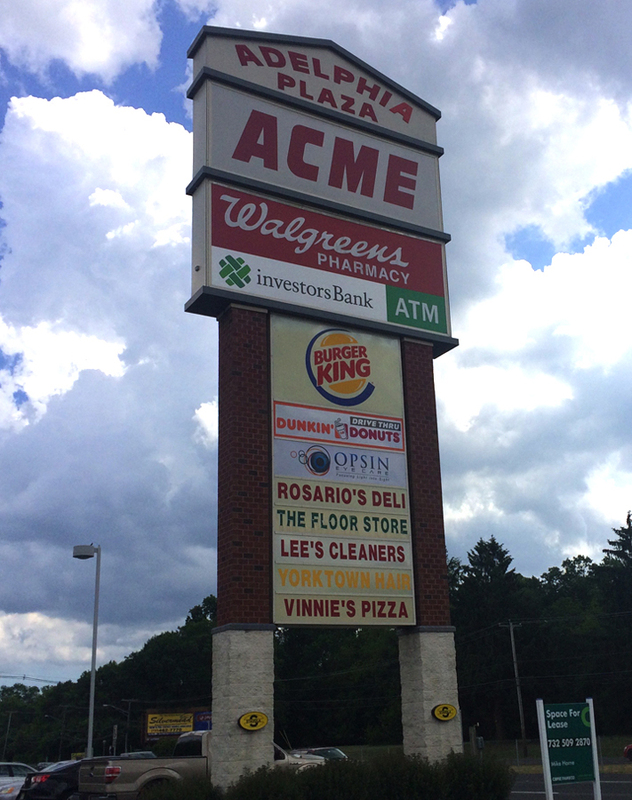 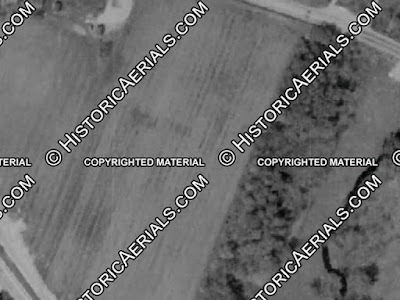 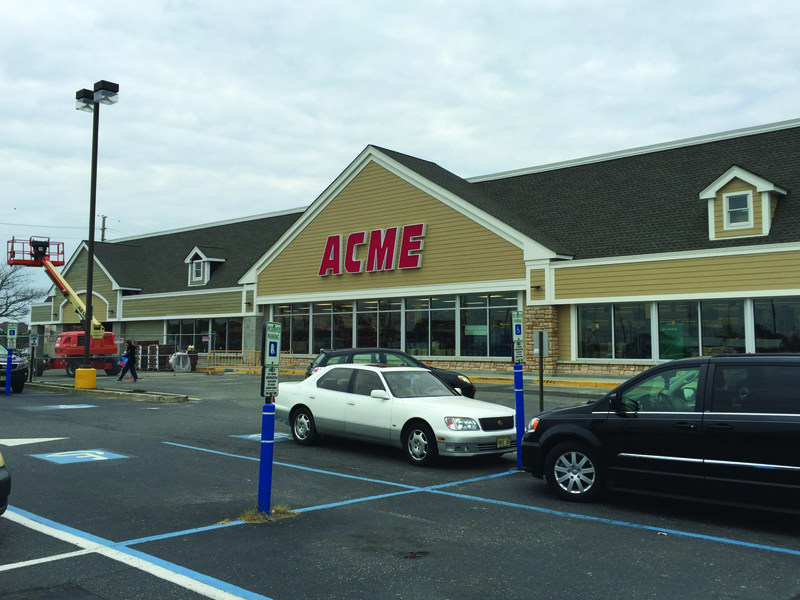 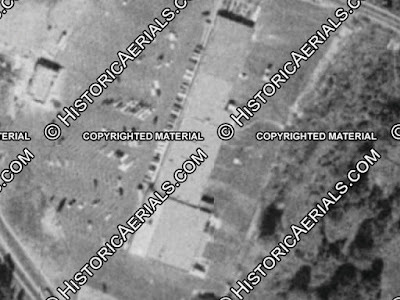 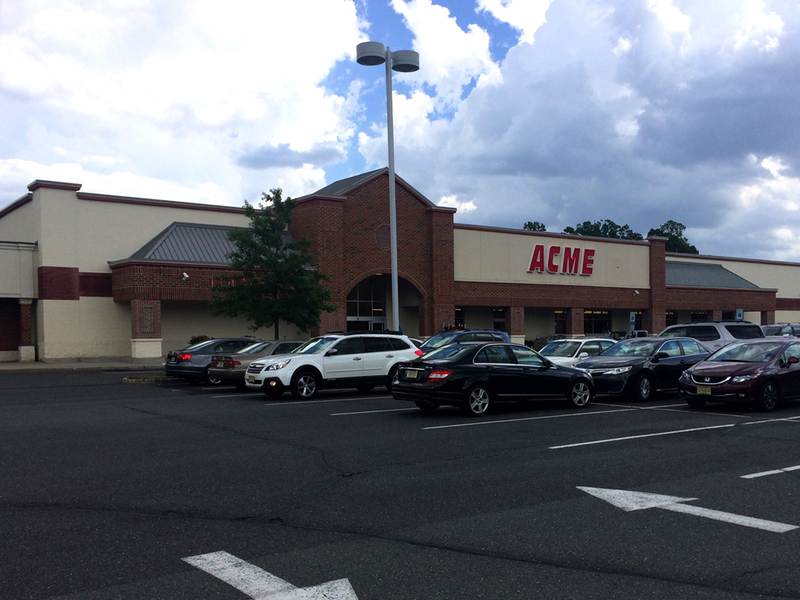 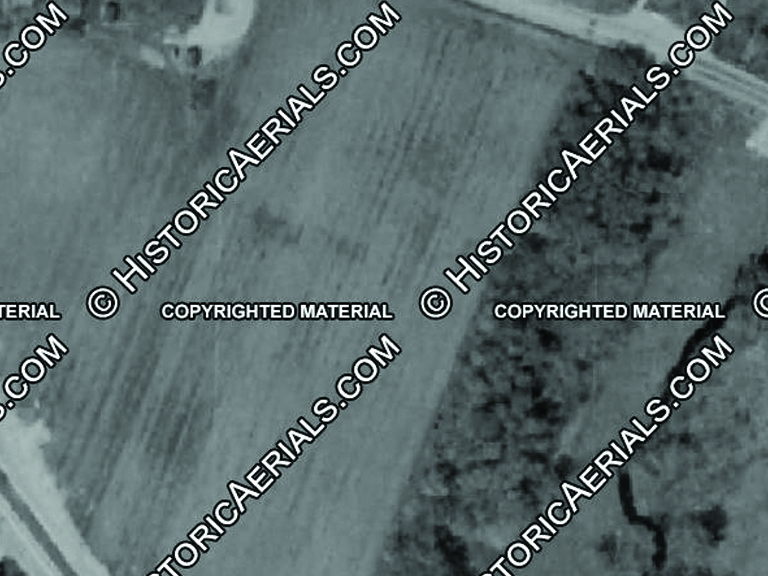 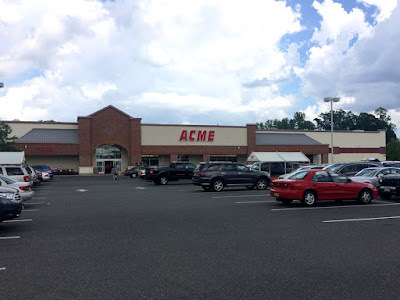 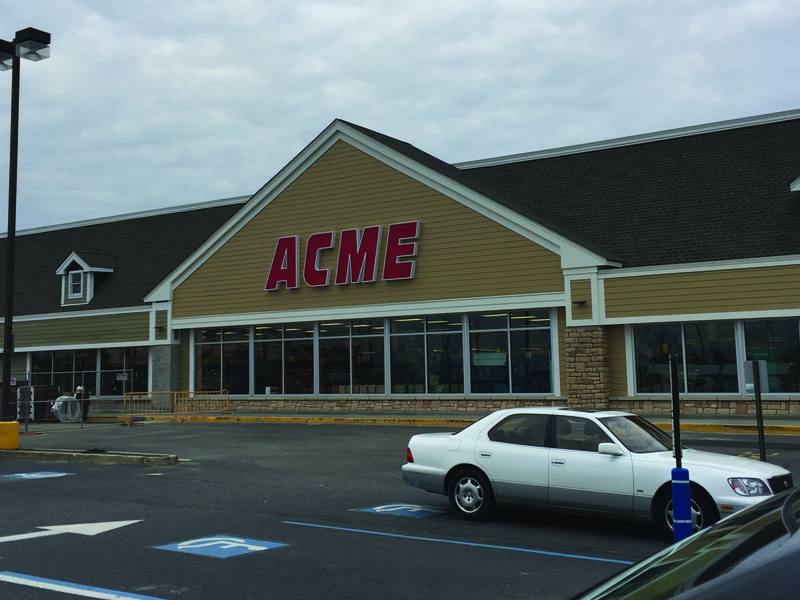 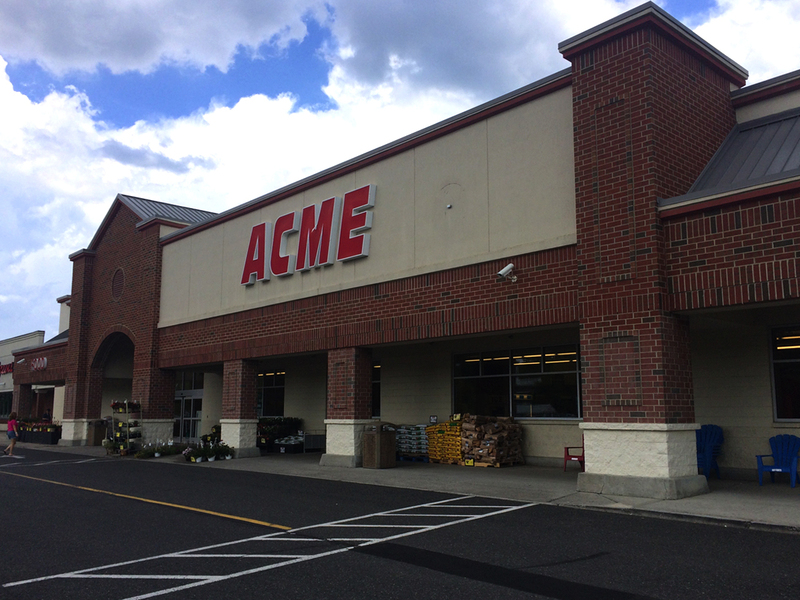 The Acme was built in the exact spot of a former A&P which is clearly seen in 2002.